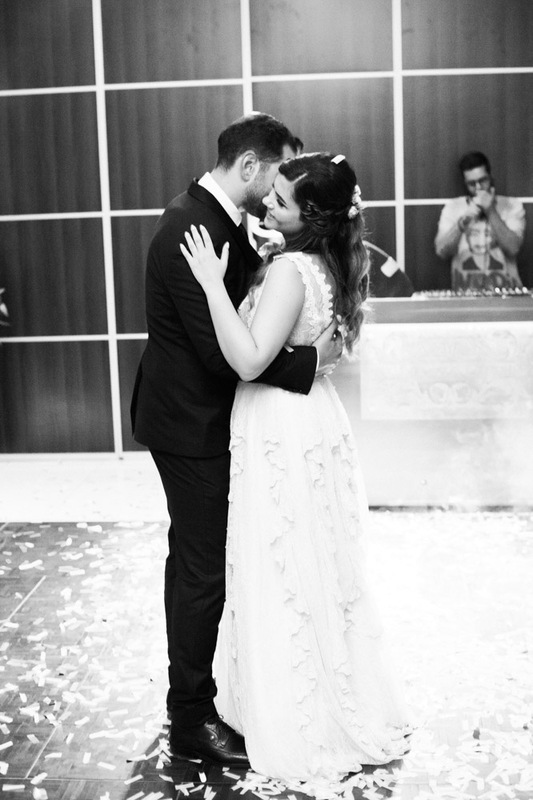 When true love is in the room you can really feel it. 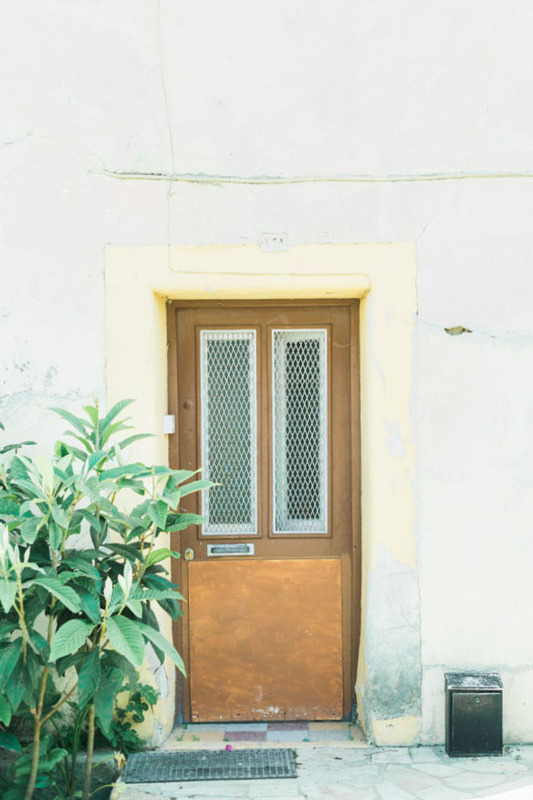 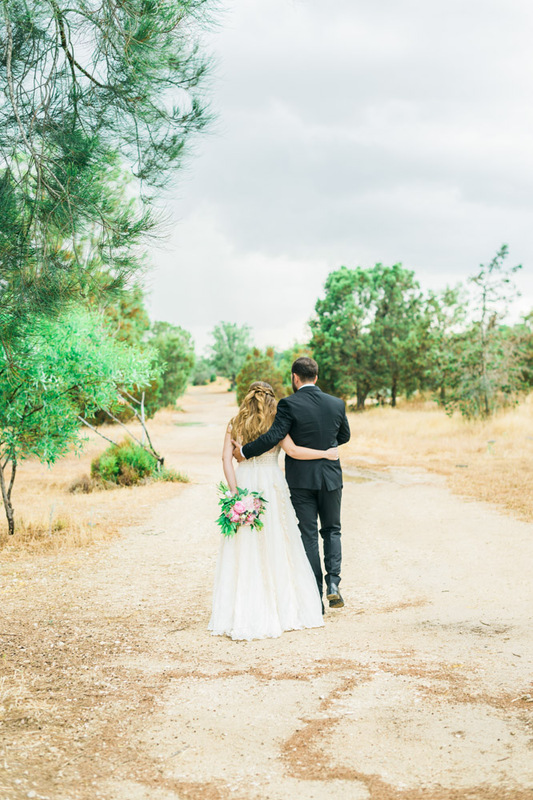 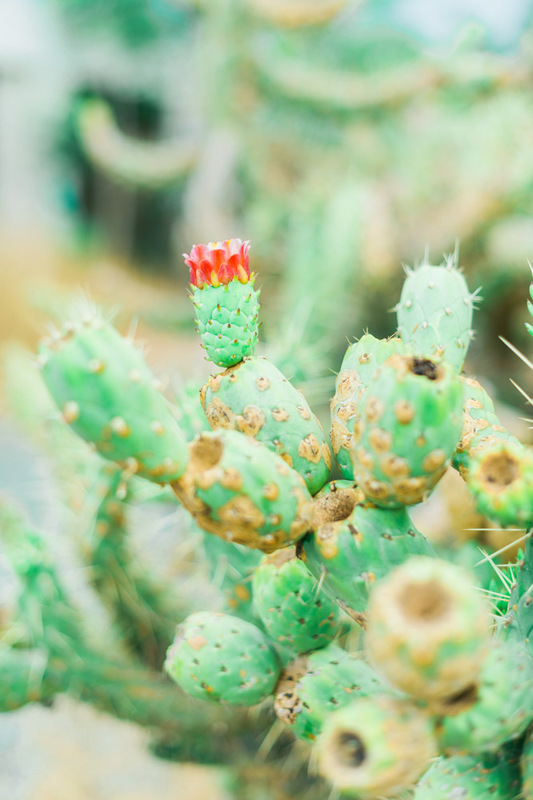 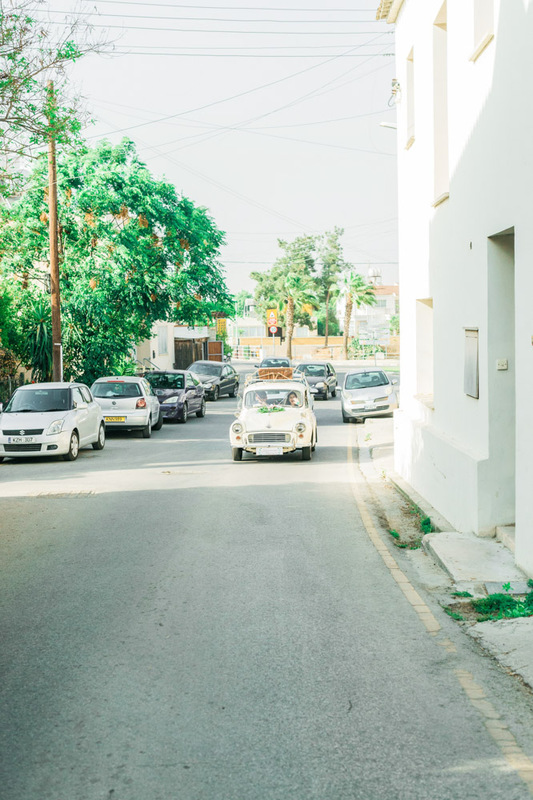 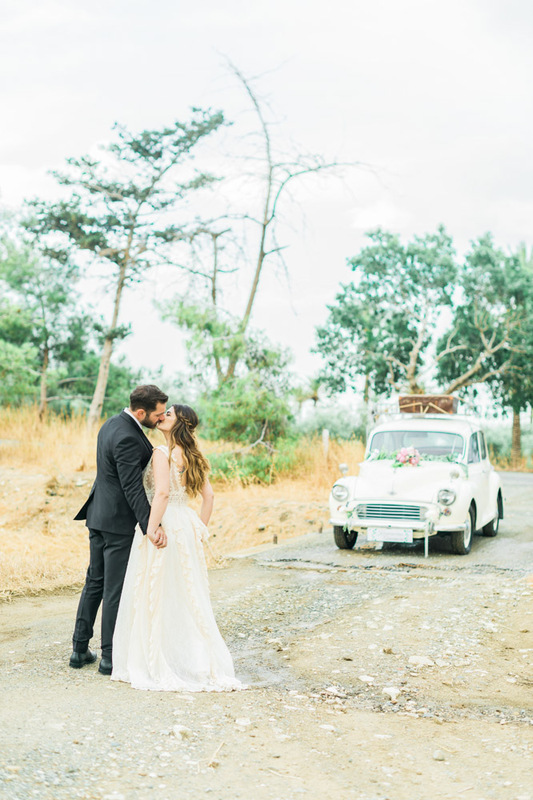 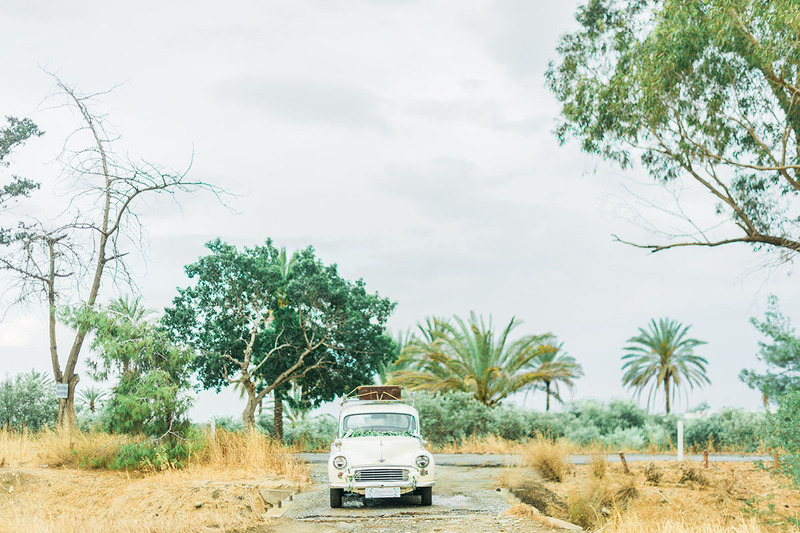 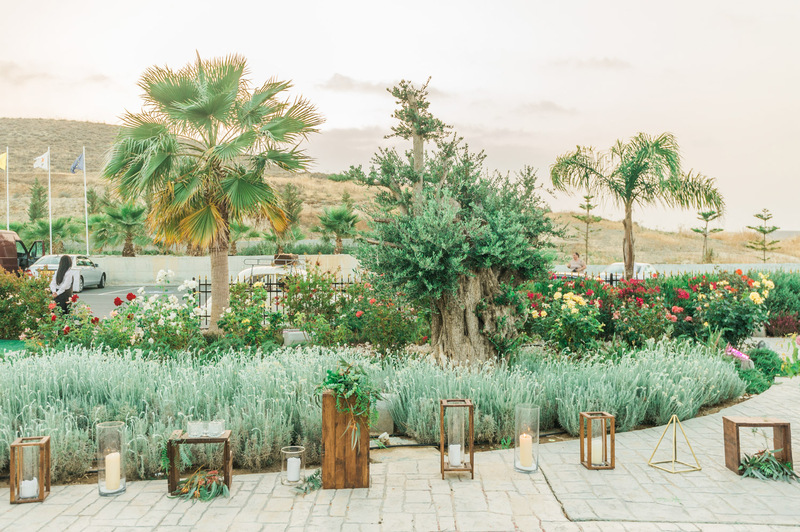 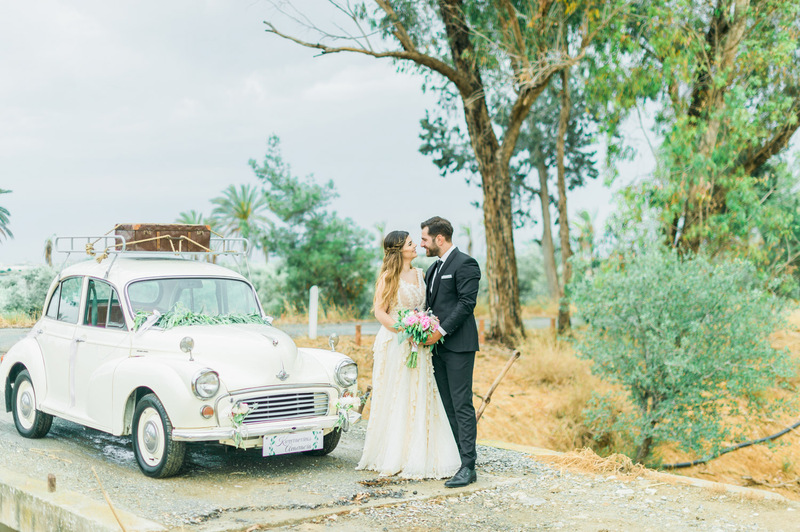 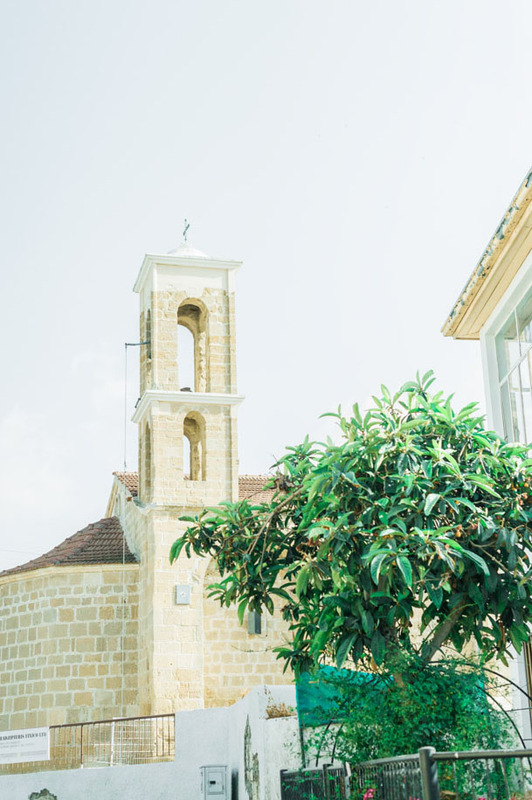 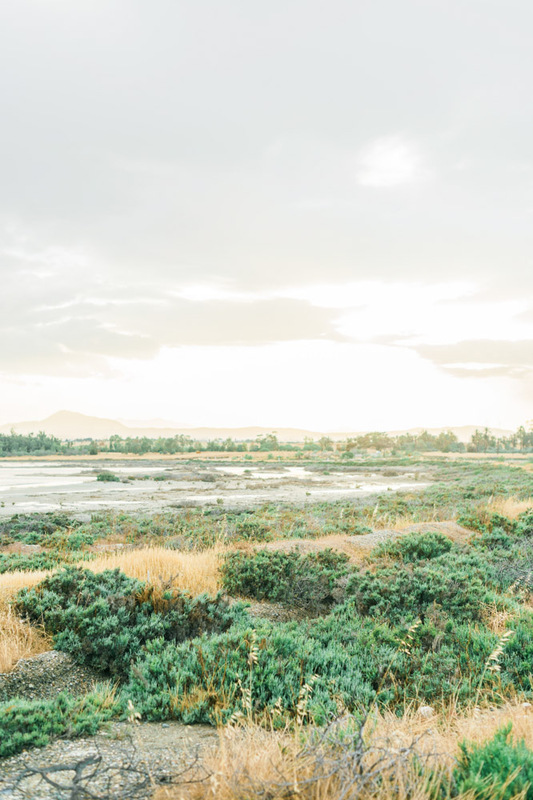 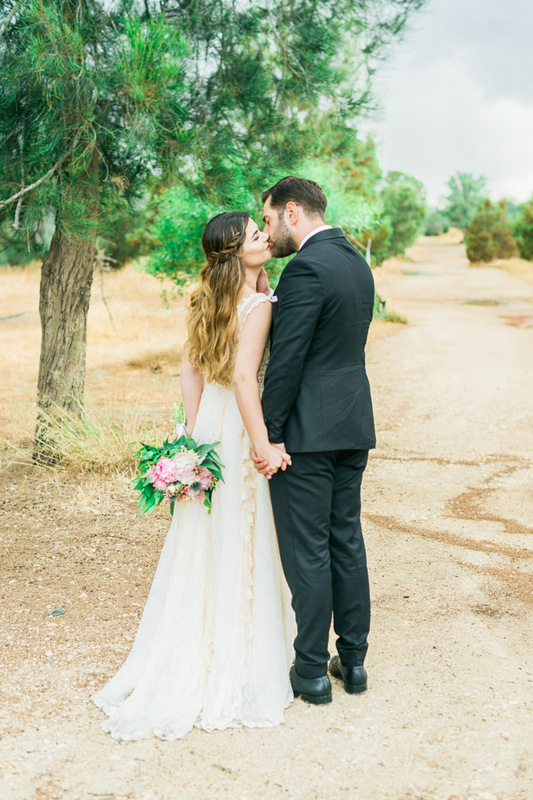 On a balmy day in Dali, just outside Nicosia, I had the pleasure of photographing a couple who’s love began in high school and runs as deep as the traditions in this small part of Cyprus. 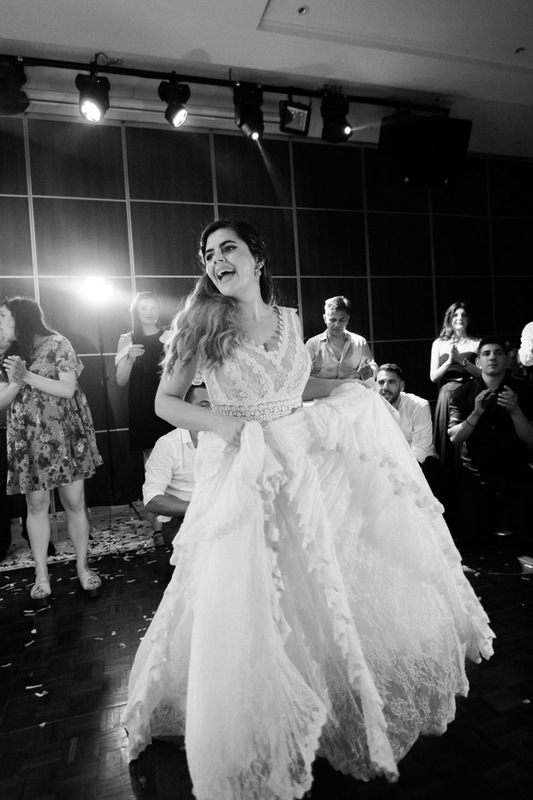 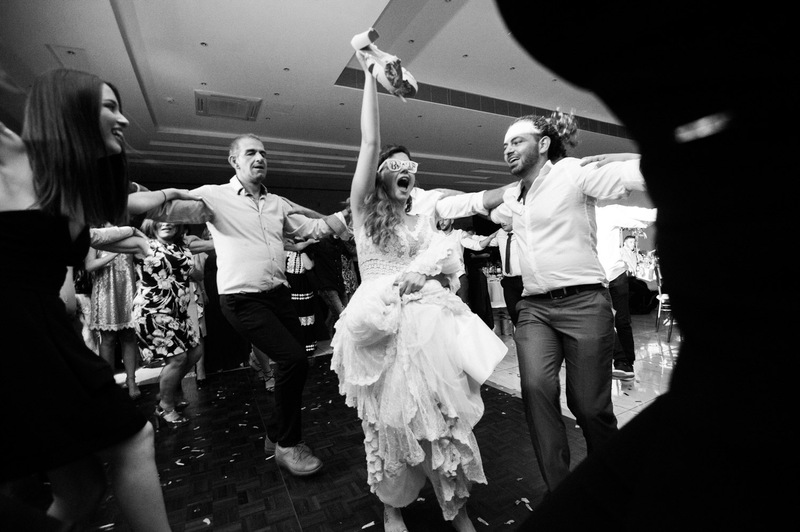 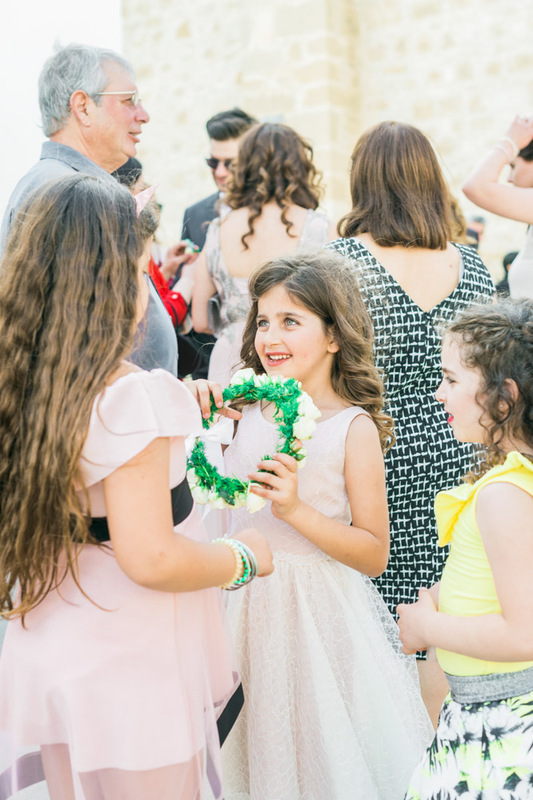 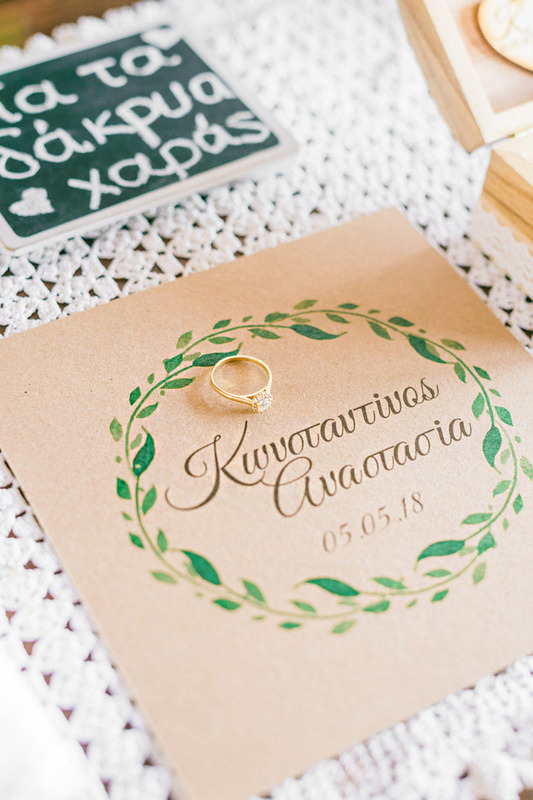 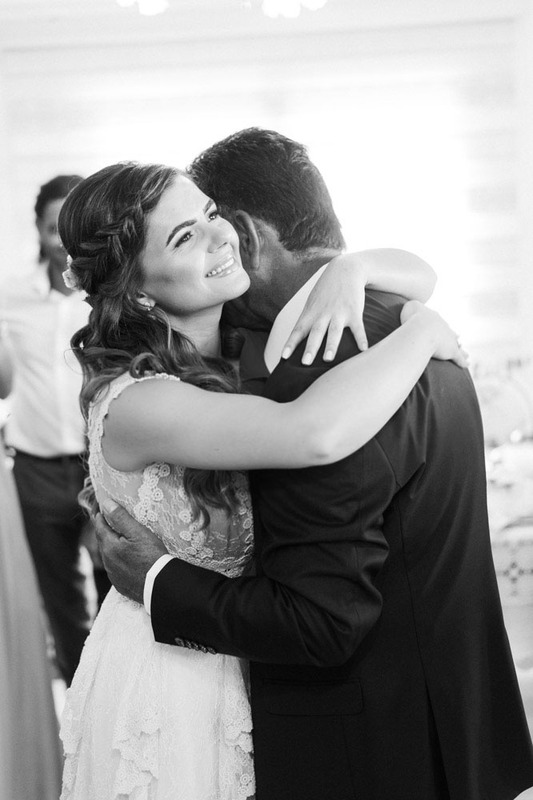 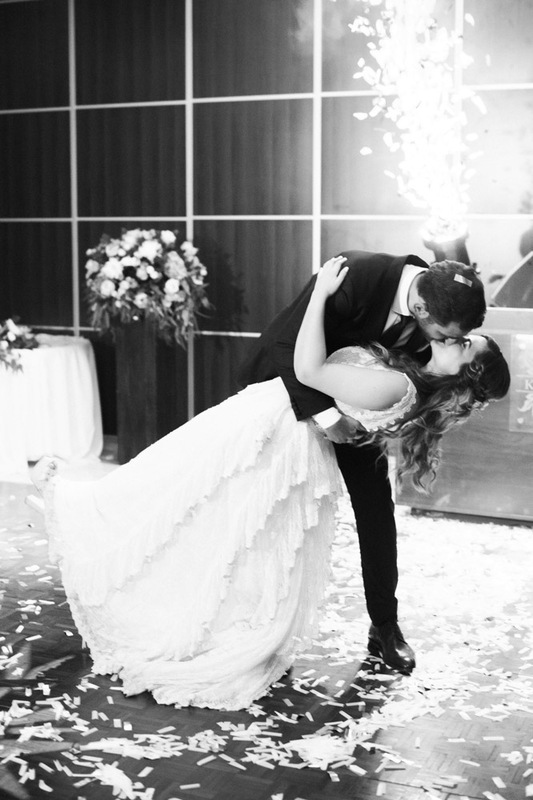 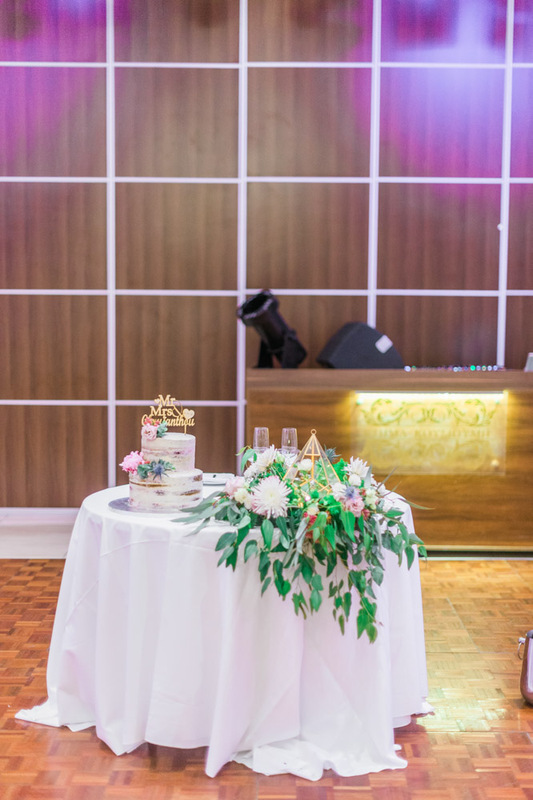 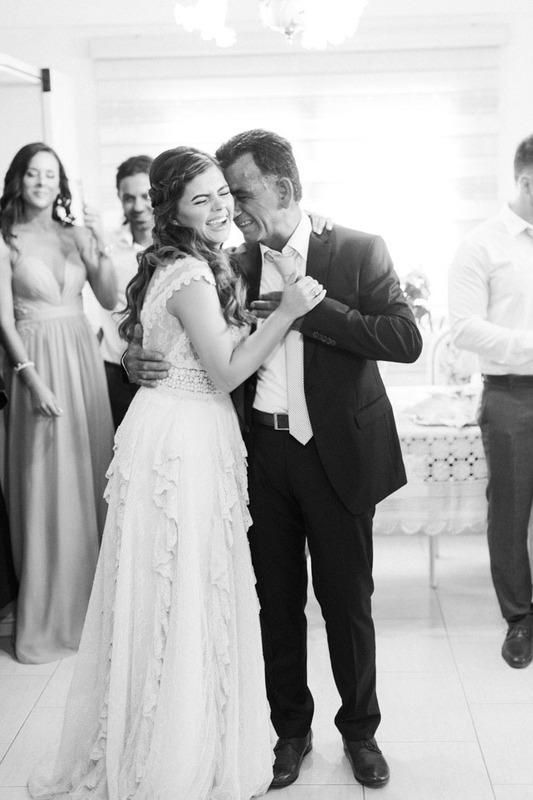 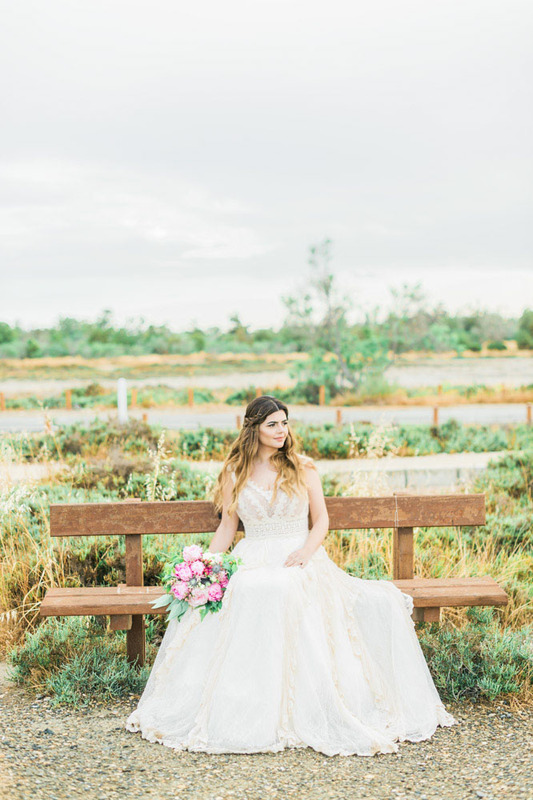 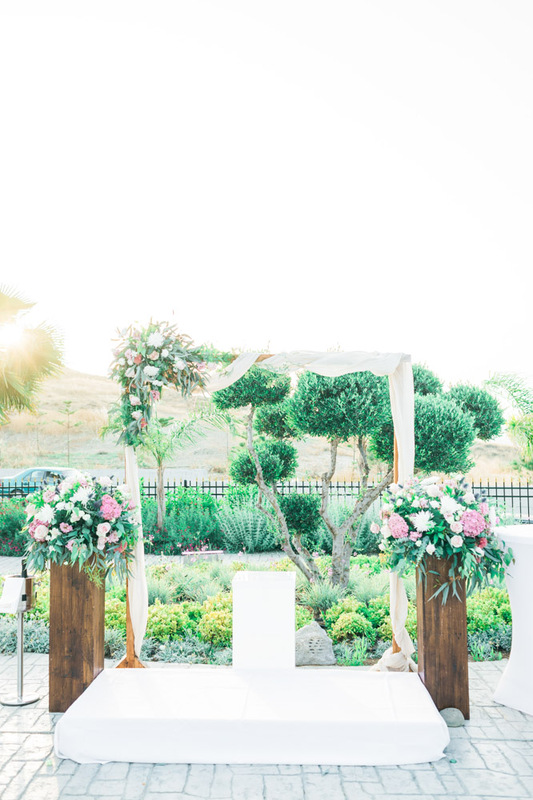 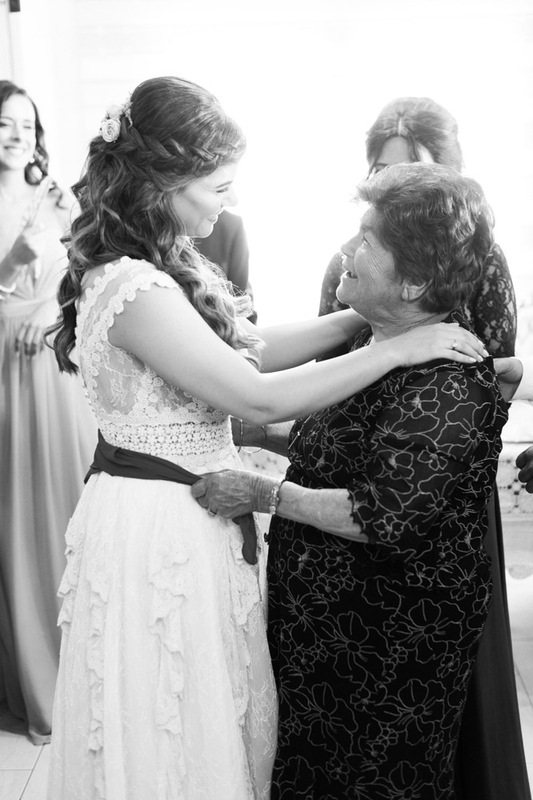 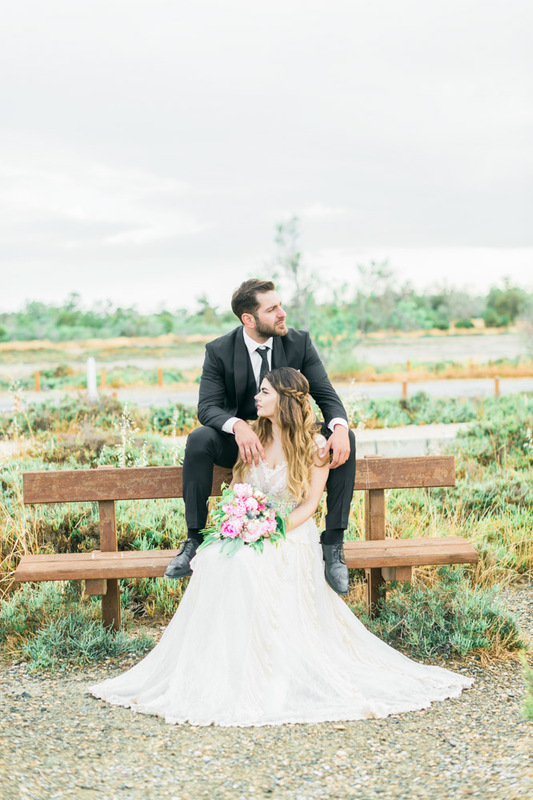 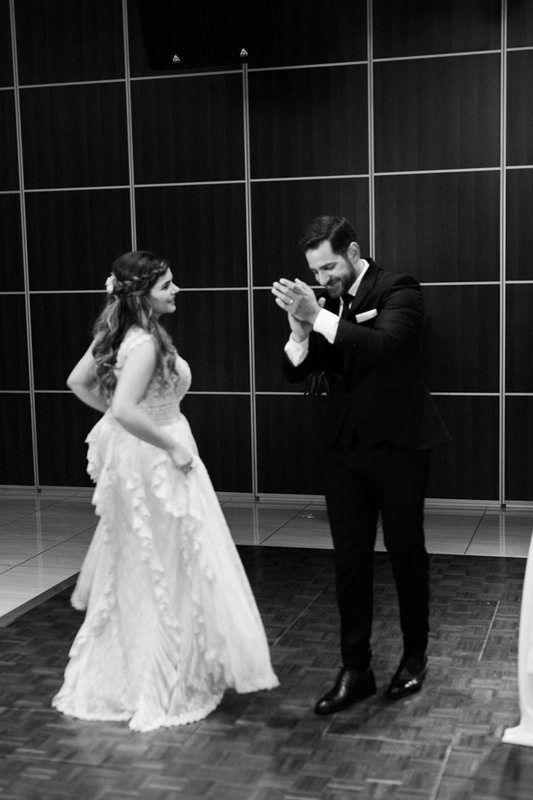 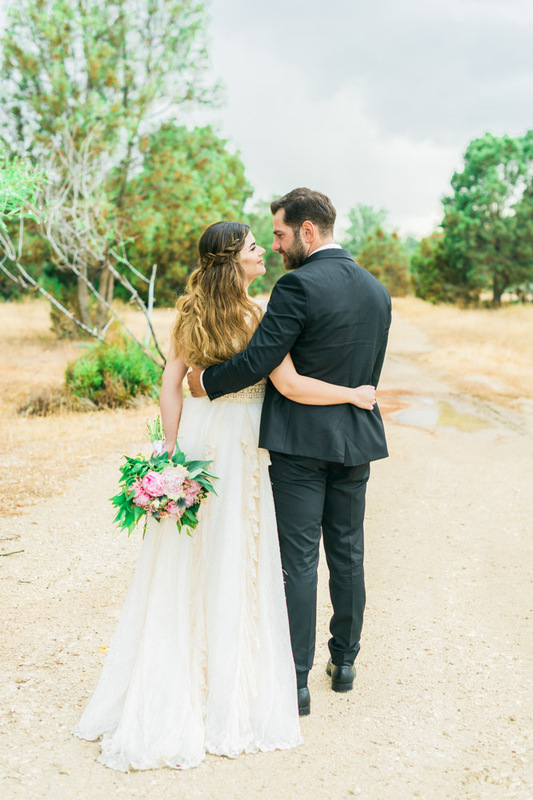 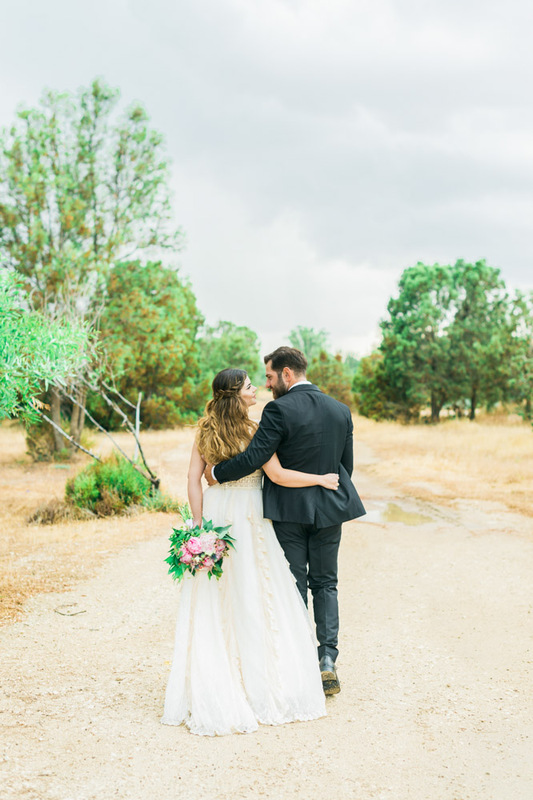 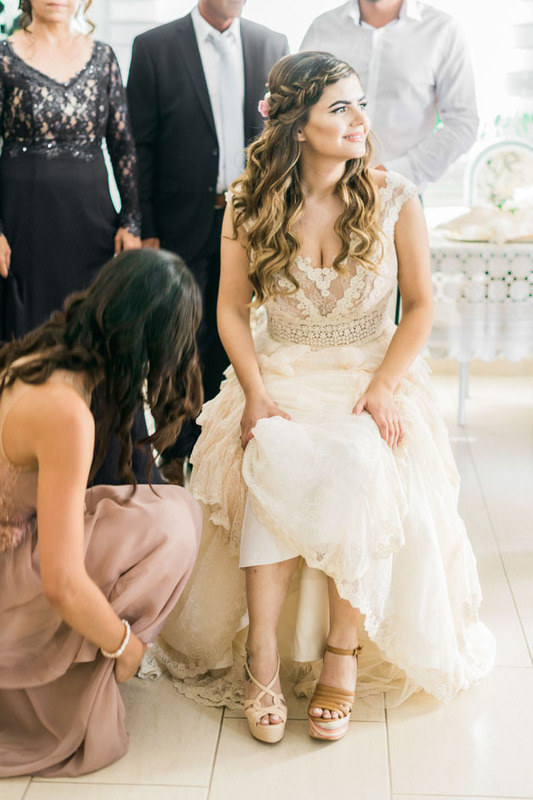 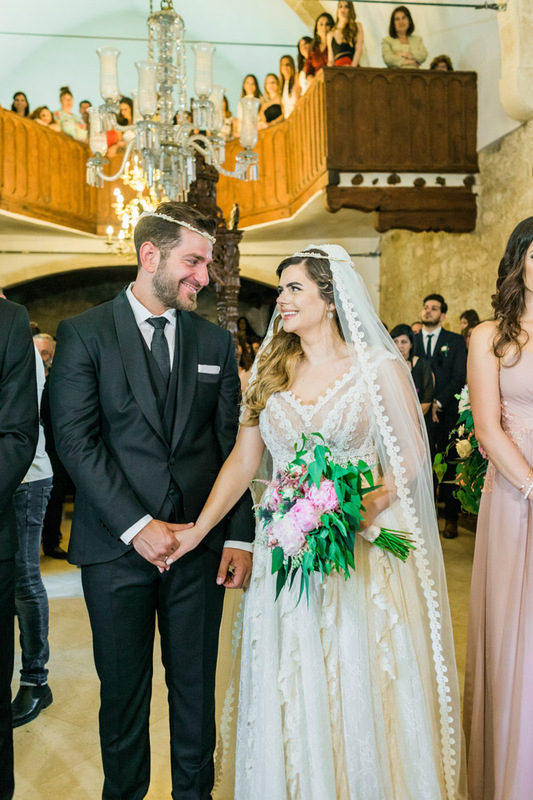 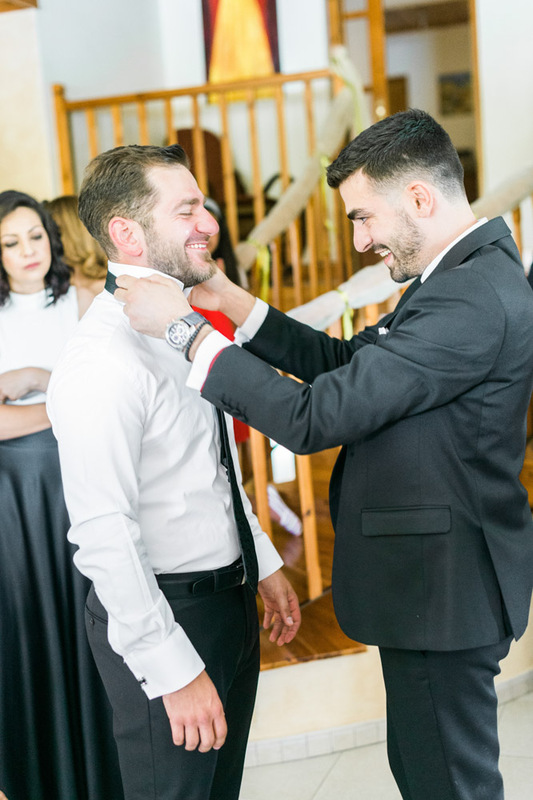 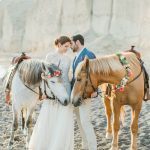 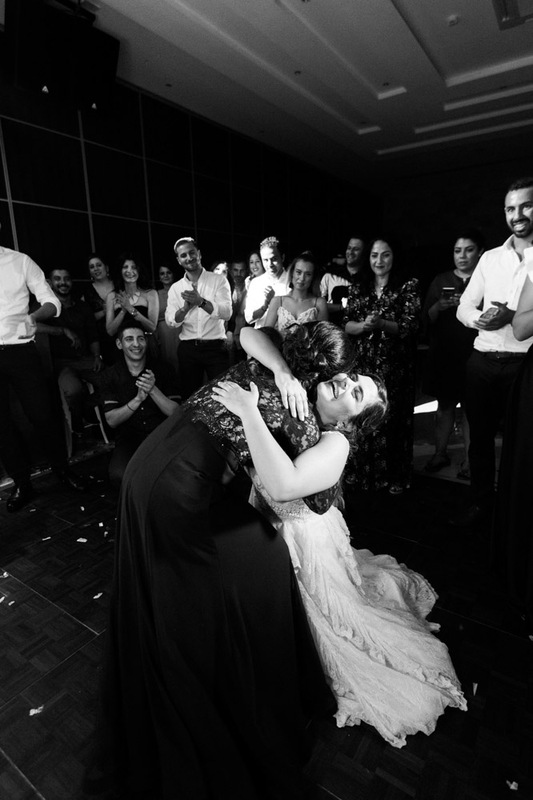 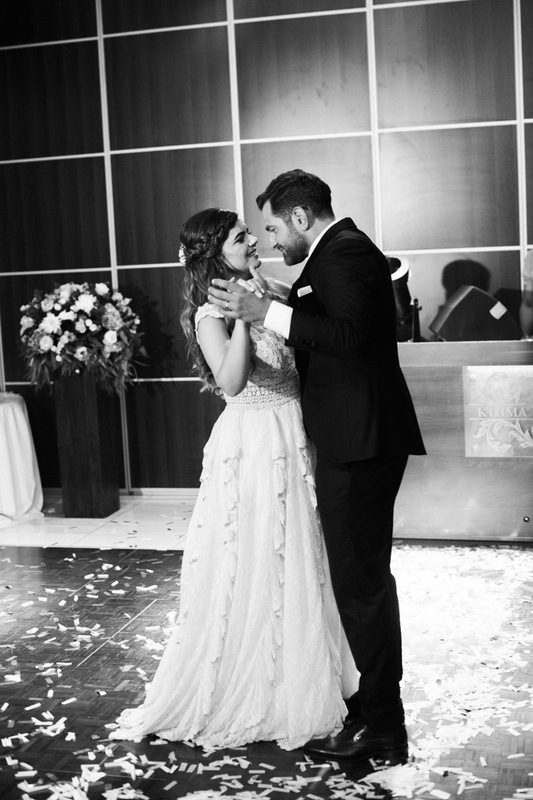 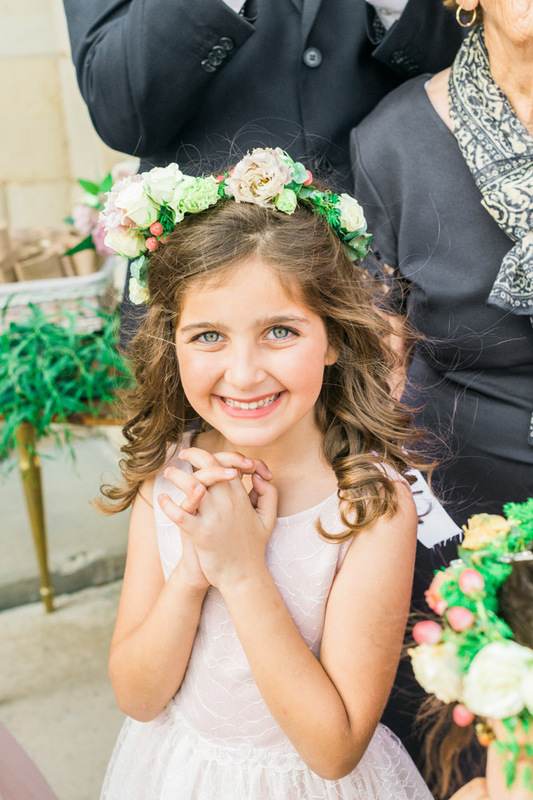 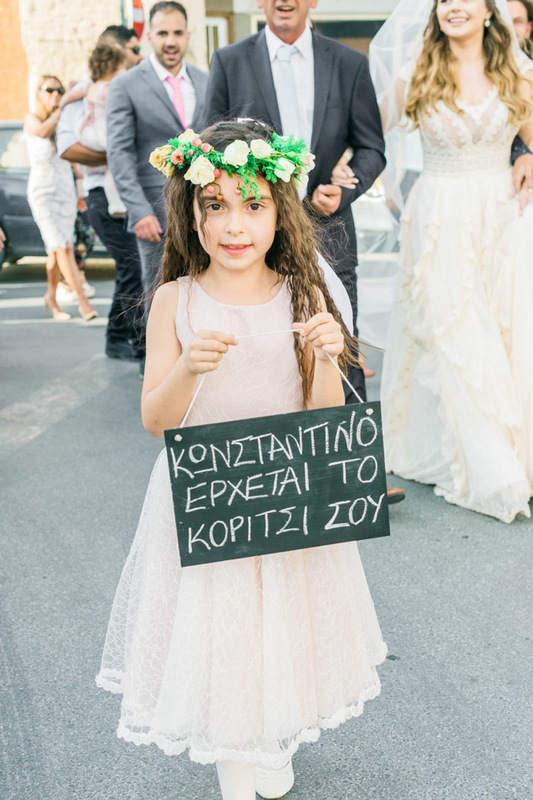 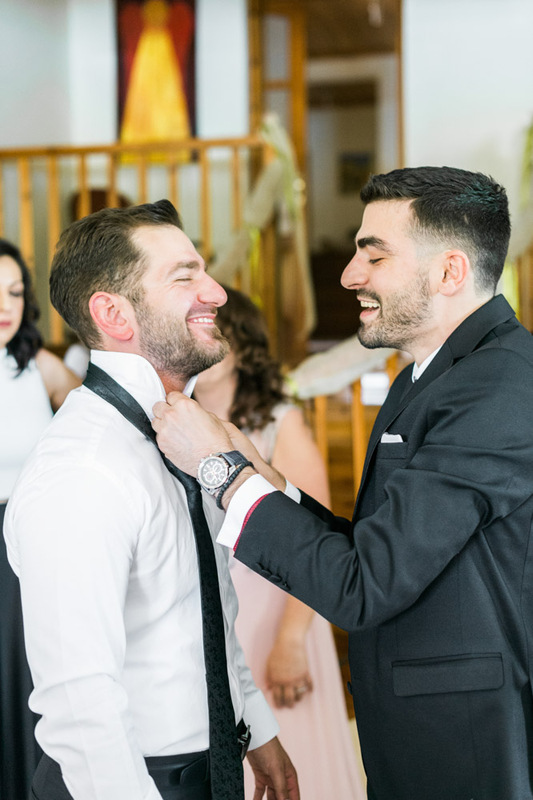 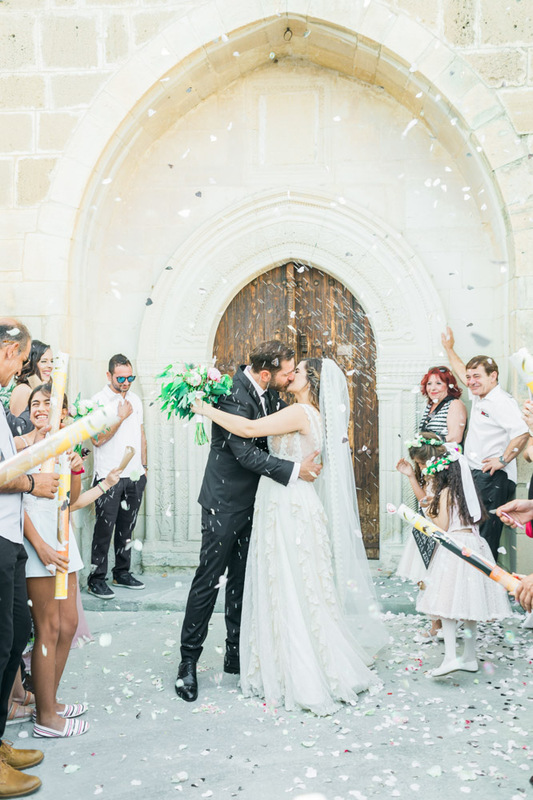 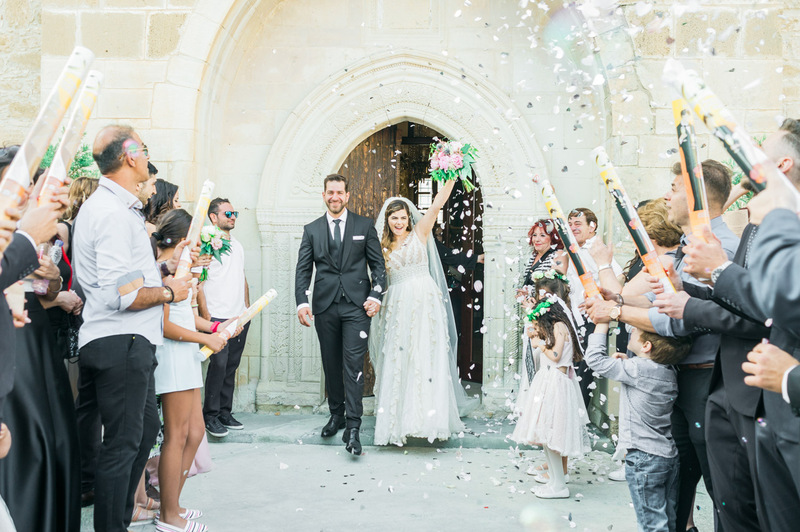 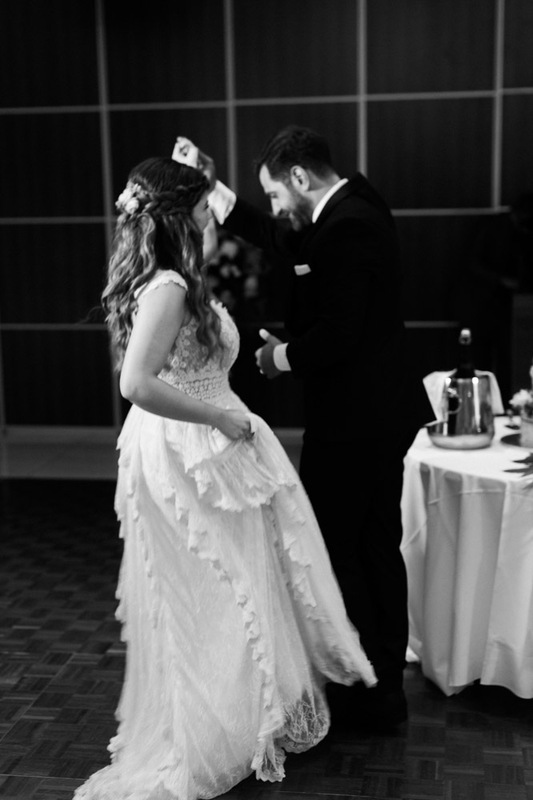 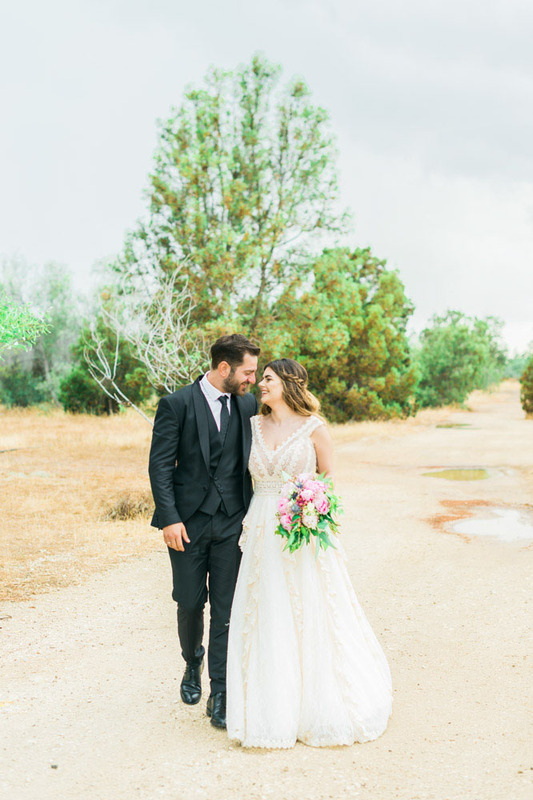 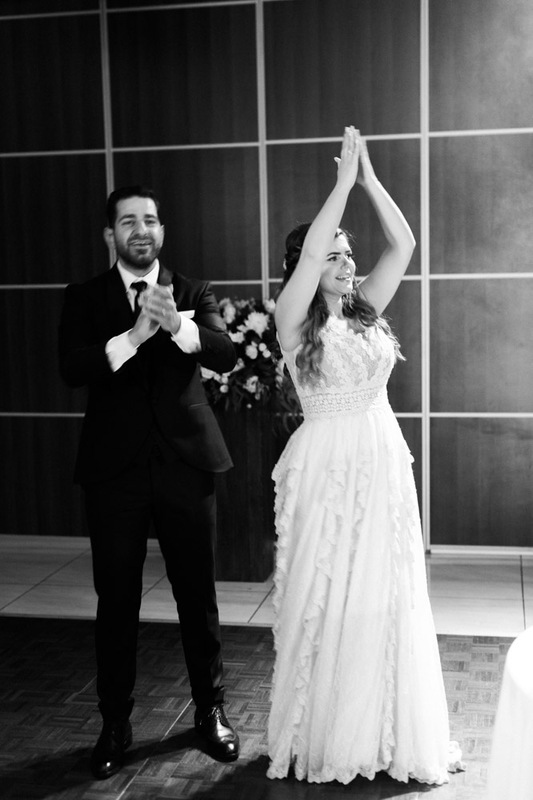 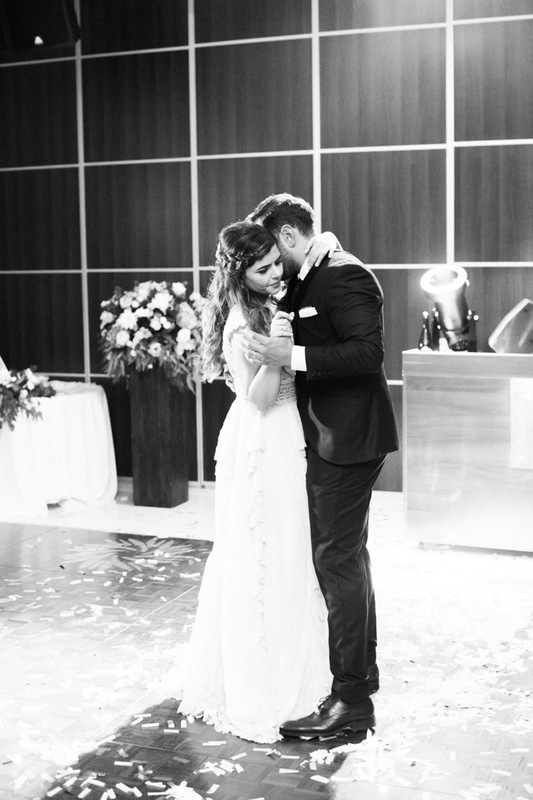 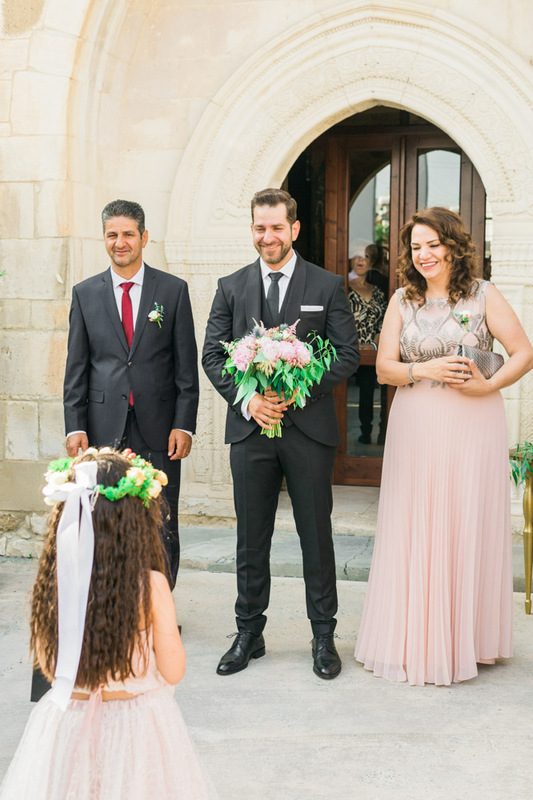 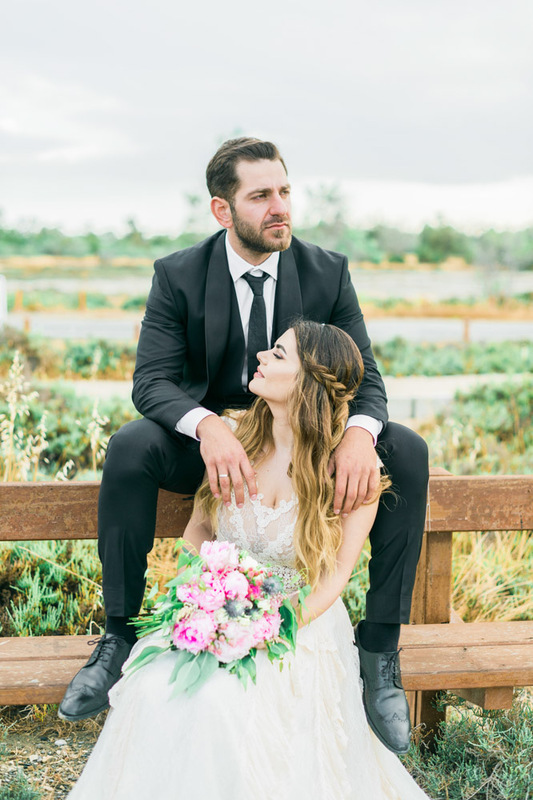 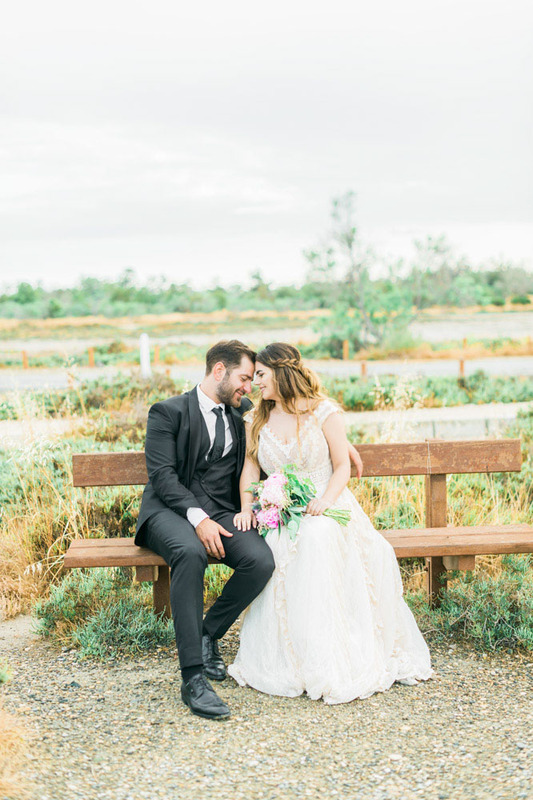 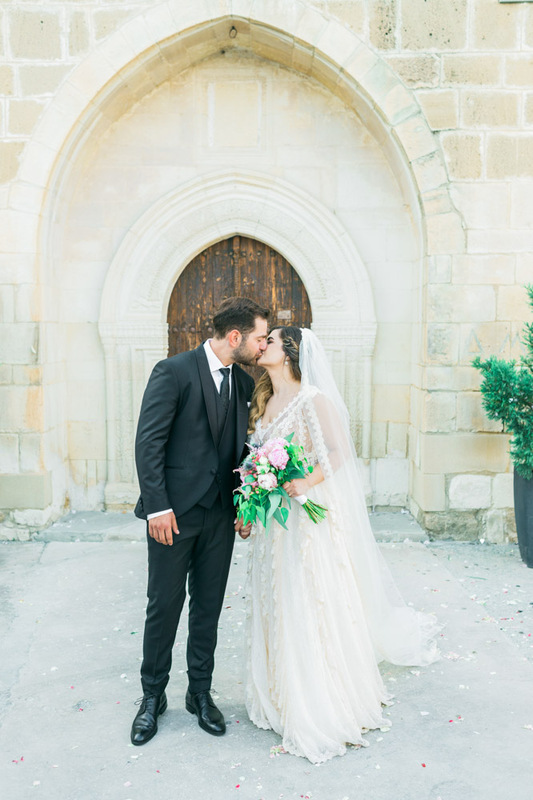 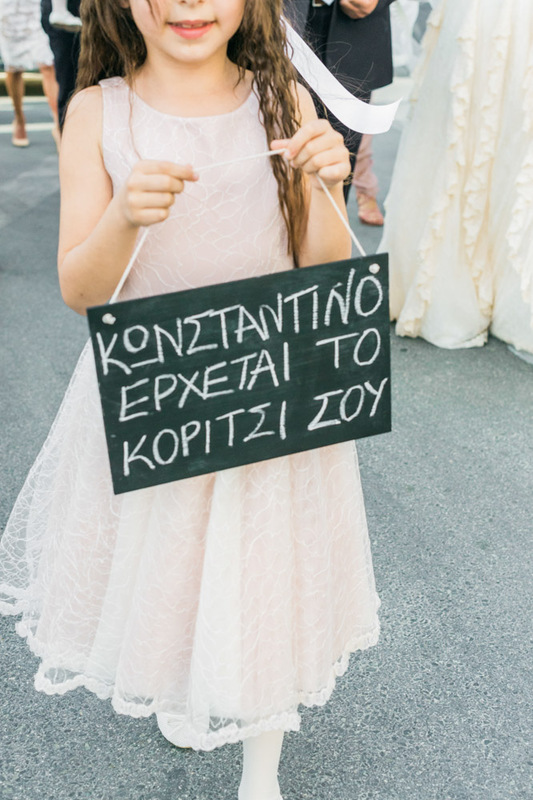 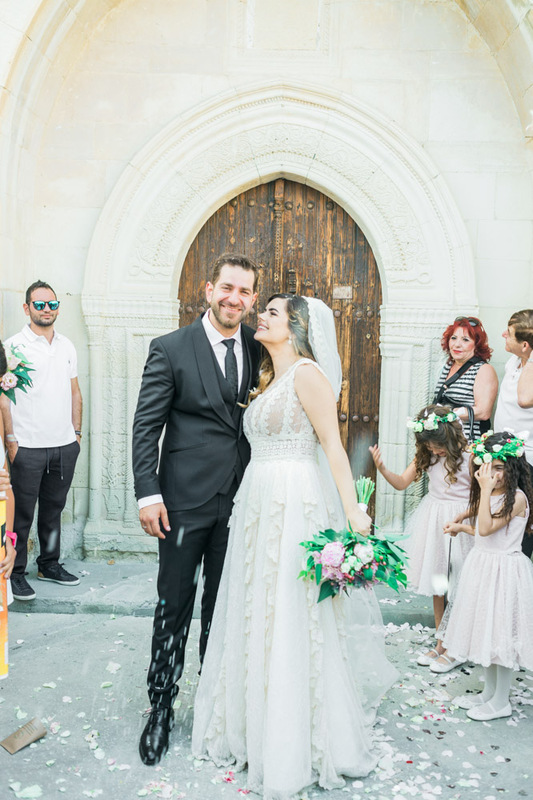 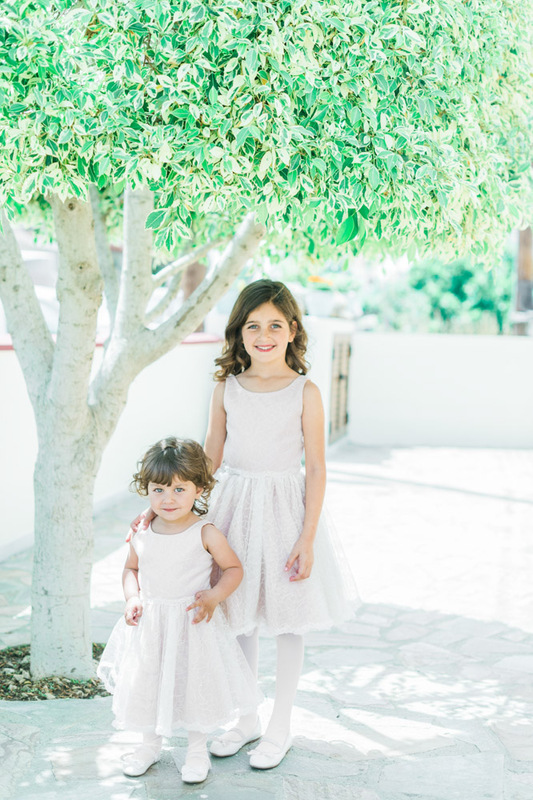 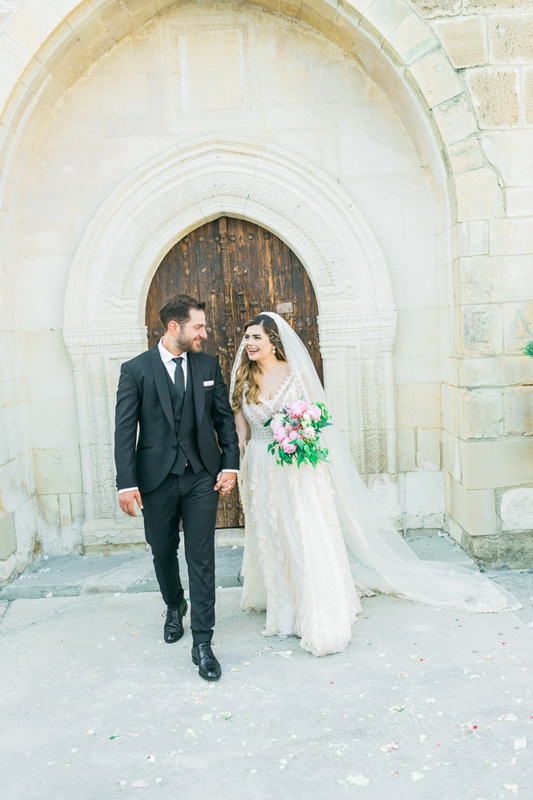 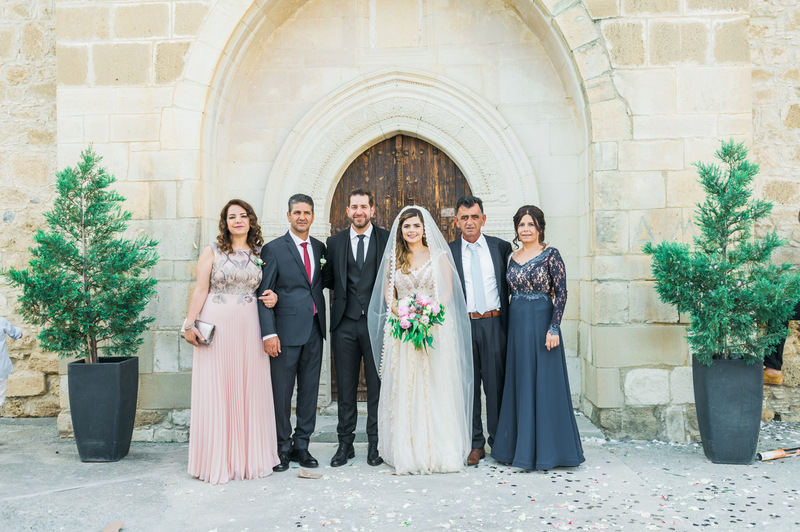 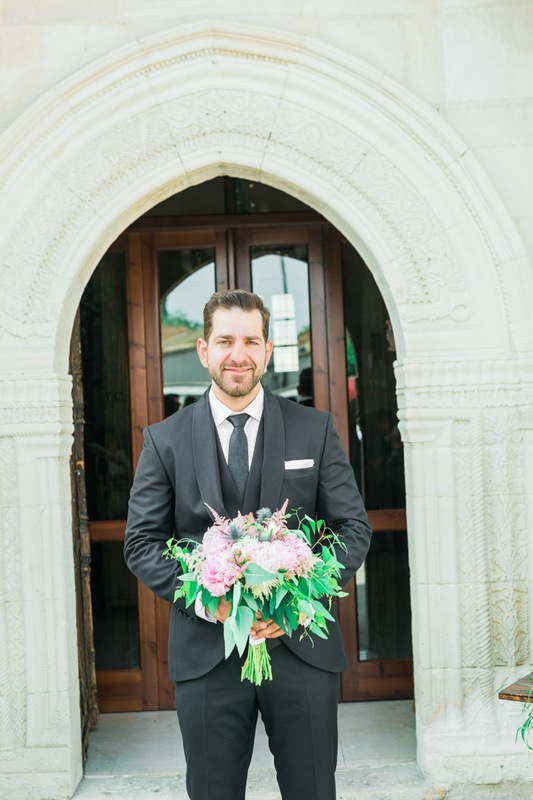 The smiles on the faces of Anastasia and Constantinos showed how happy they were to be getting married on this day, and everyone at this wedding was touched by it. 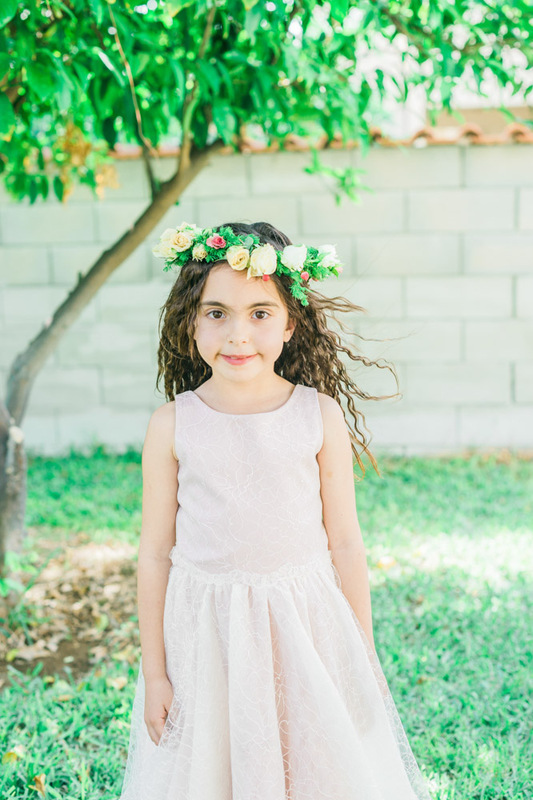 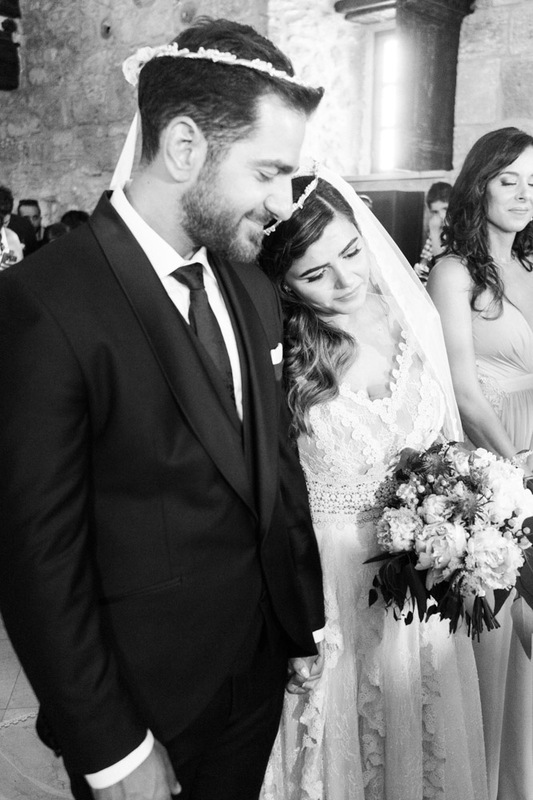 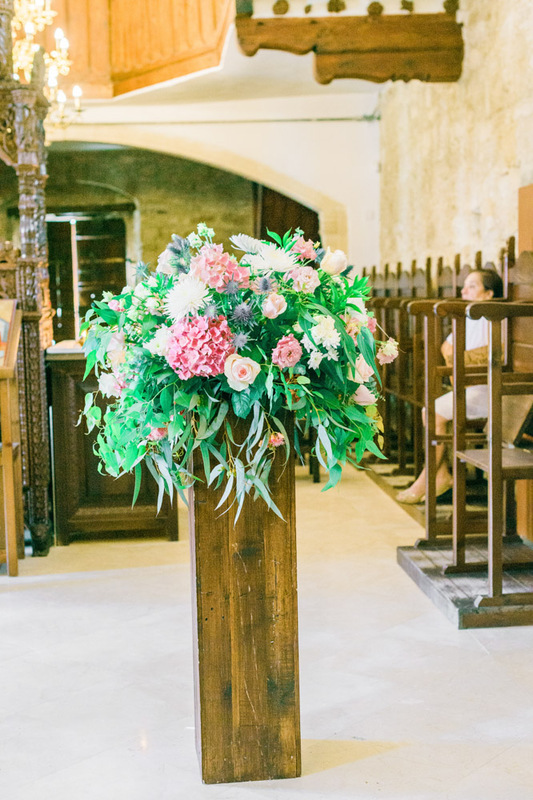 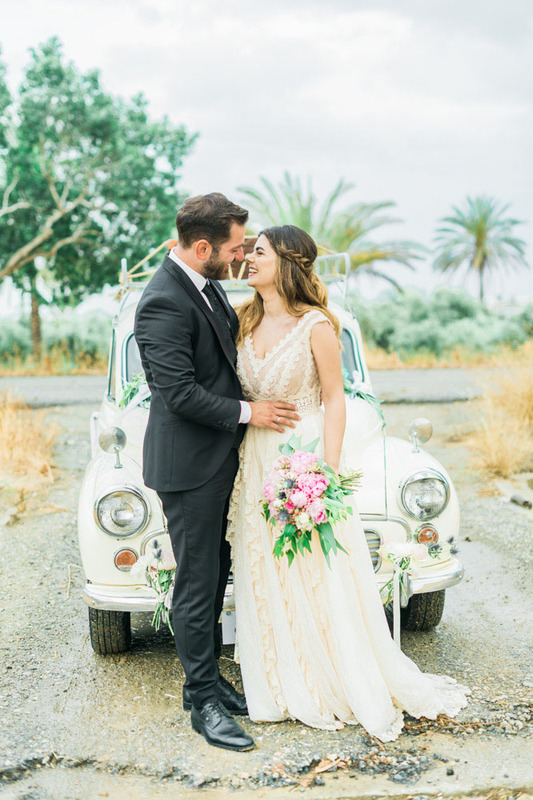 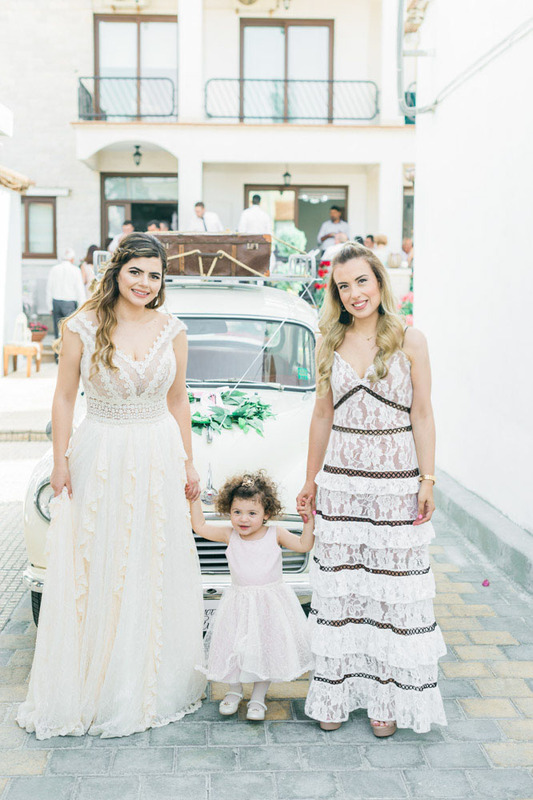 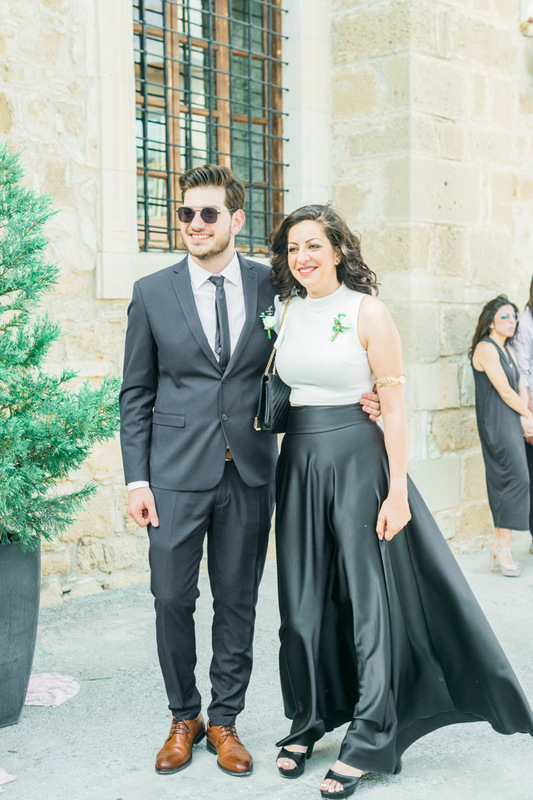 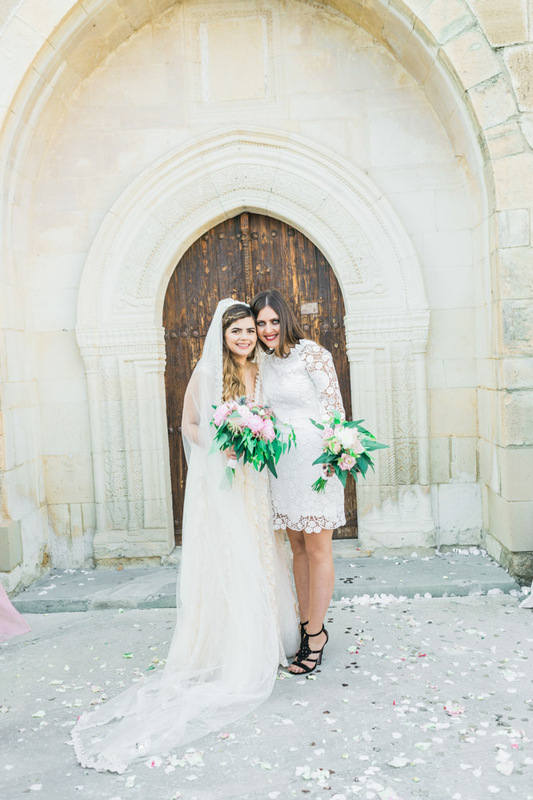 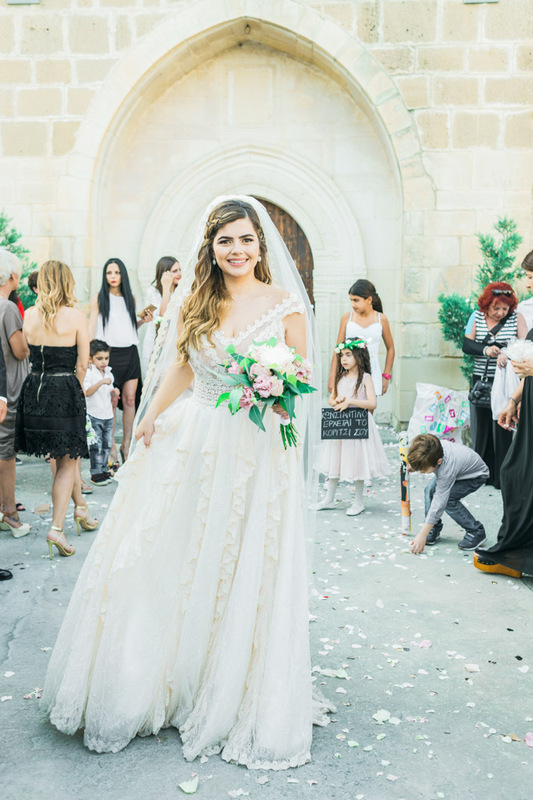 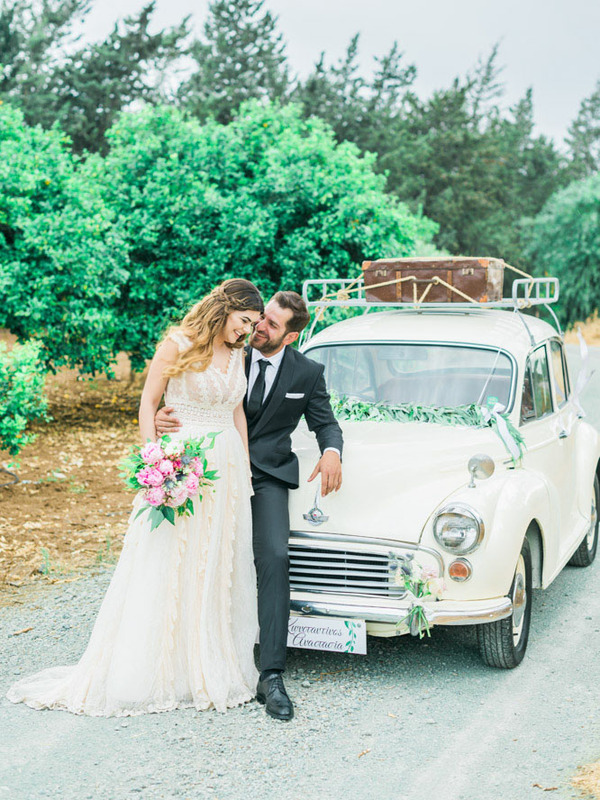 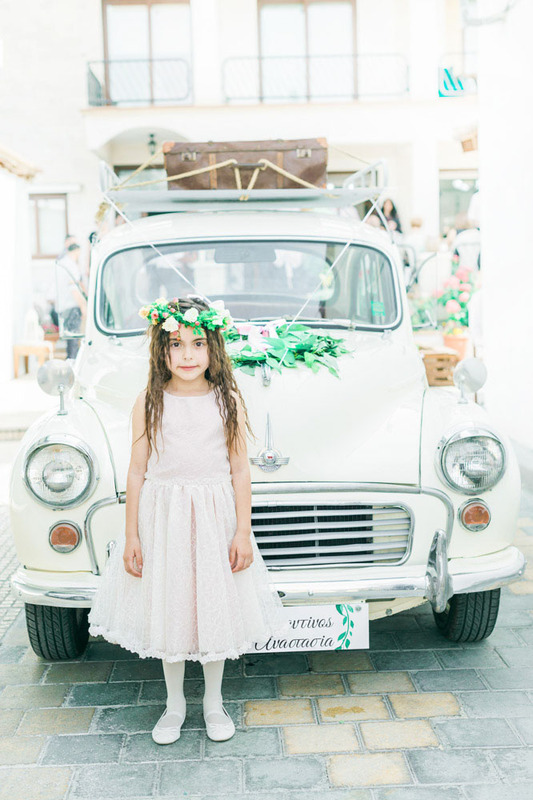 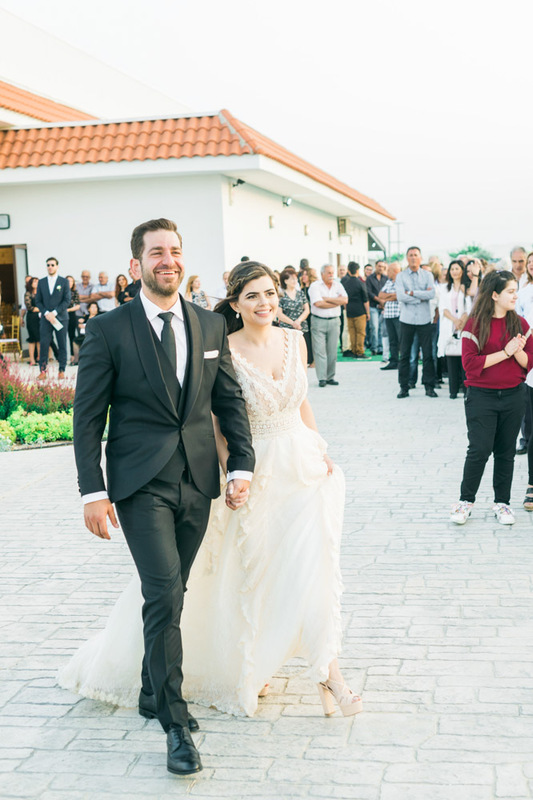 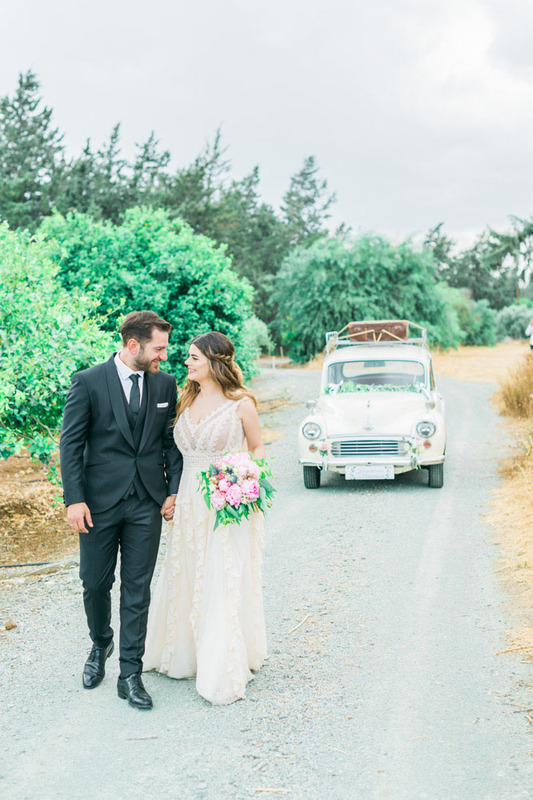 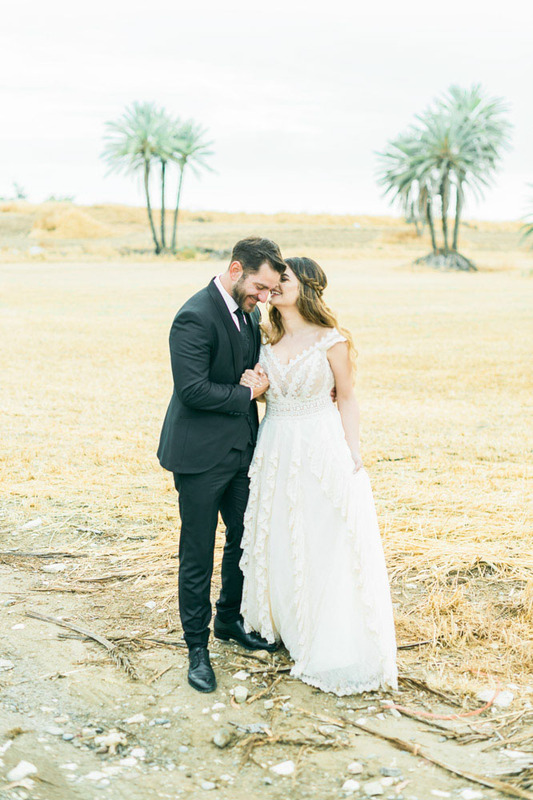 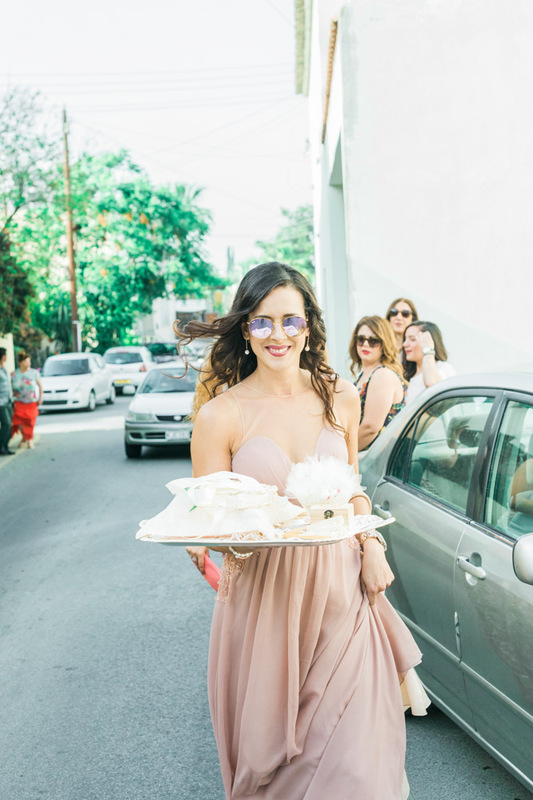 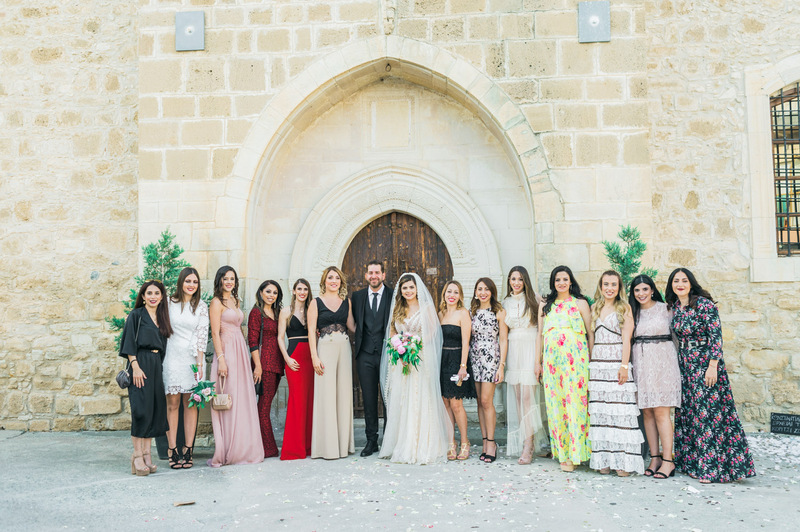 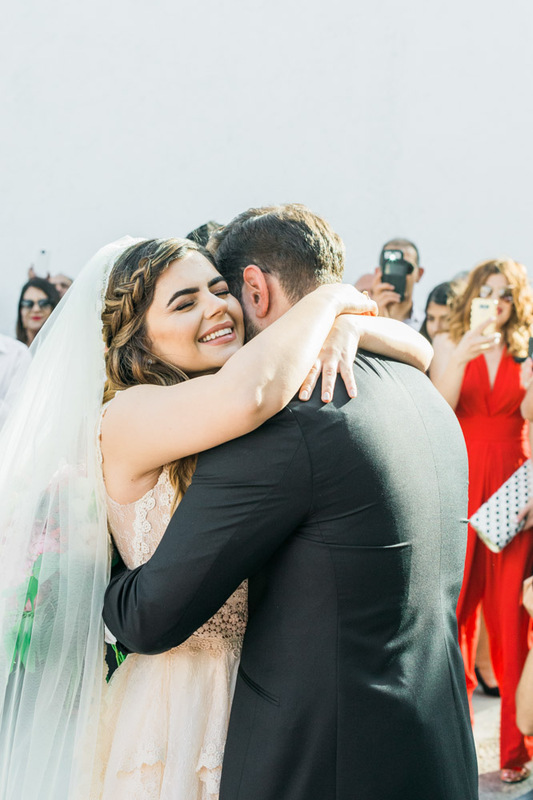 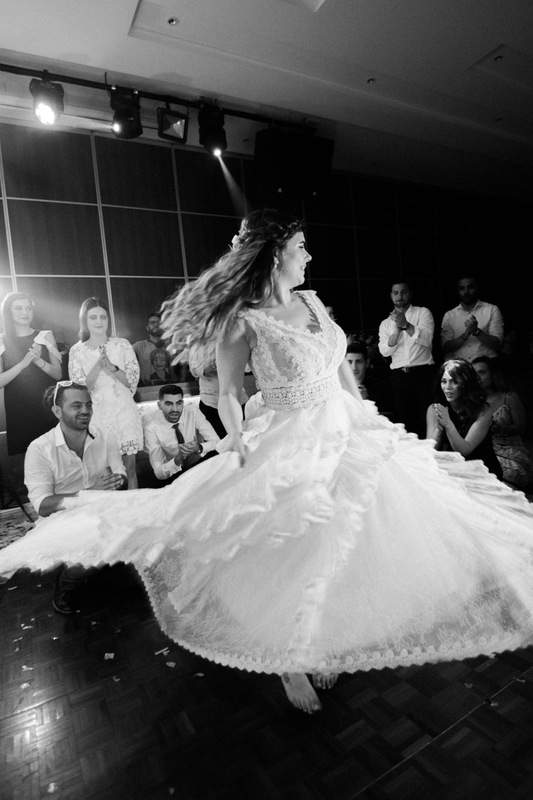 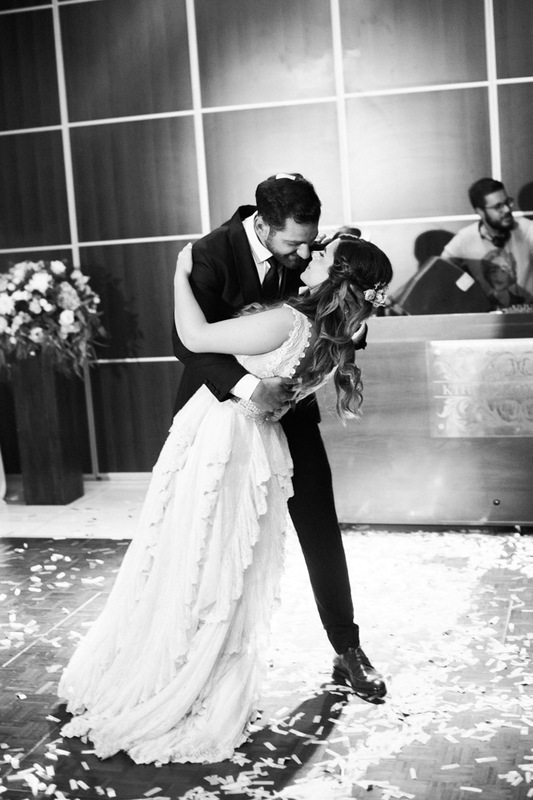 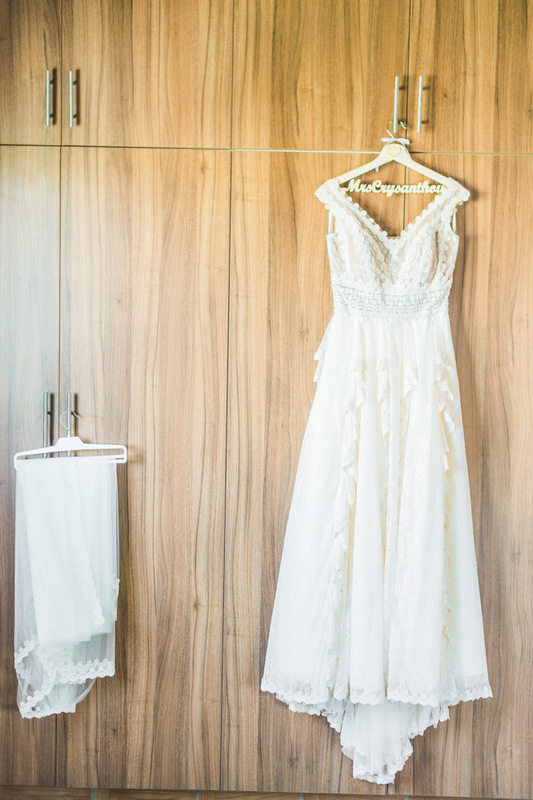 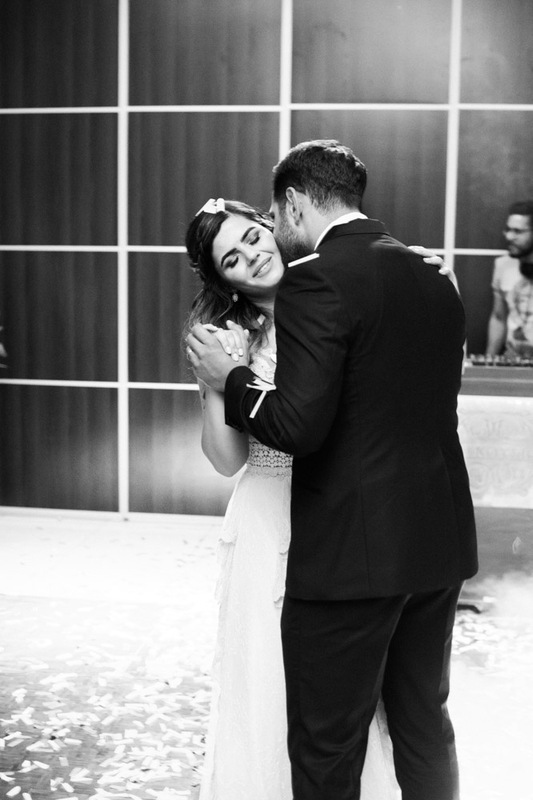 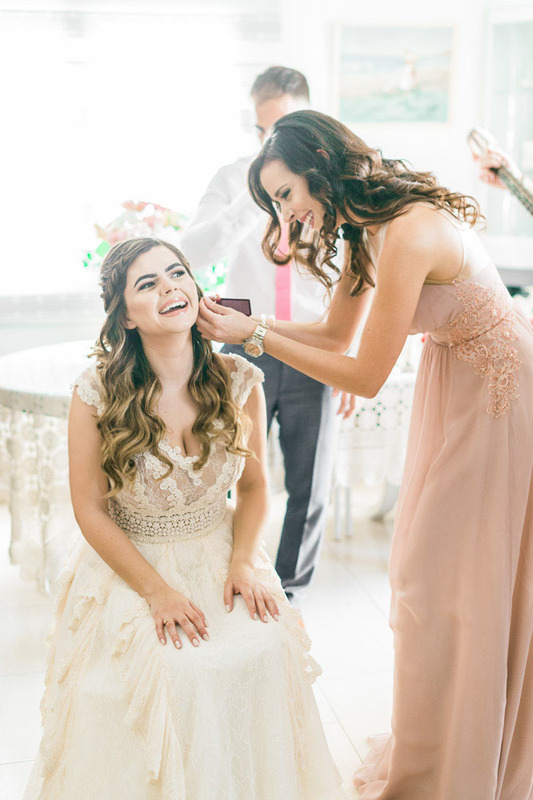 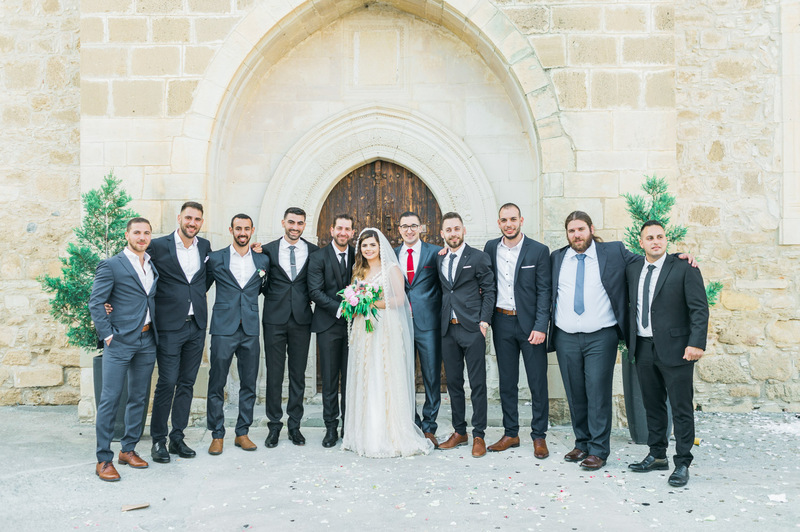 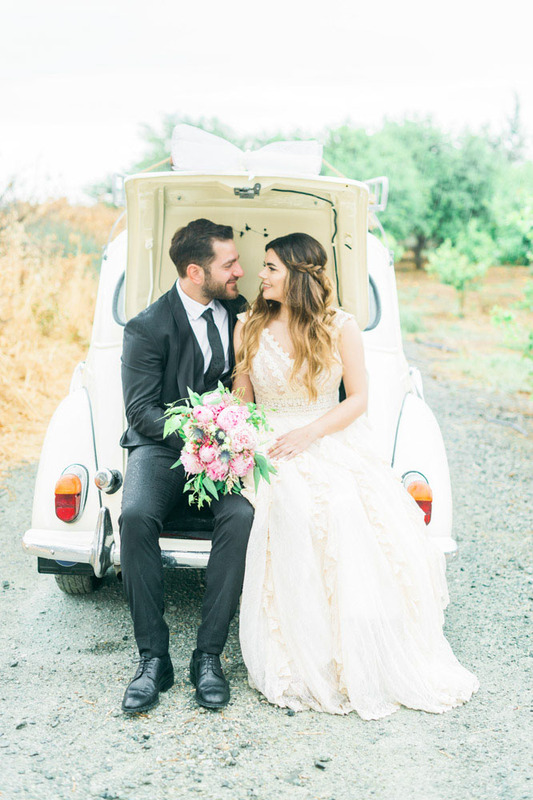 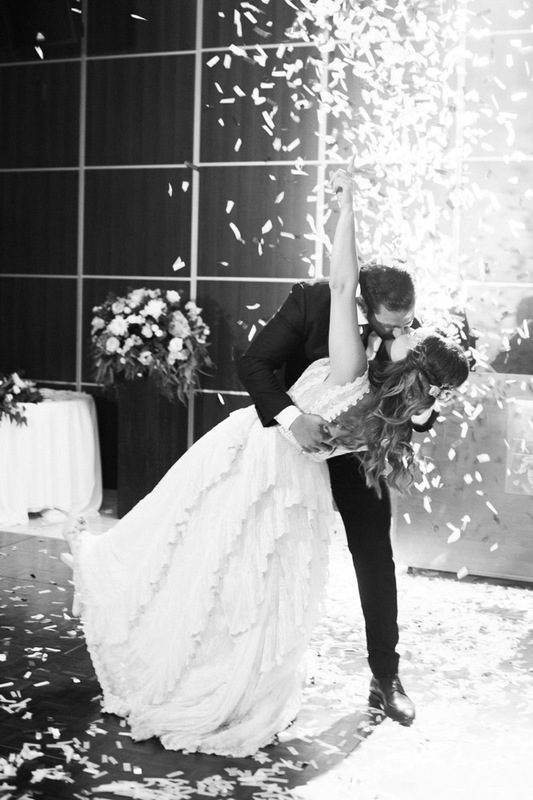 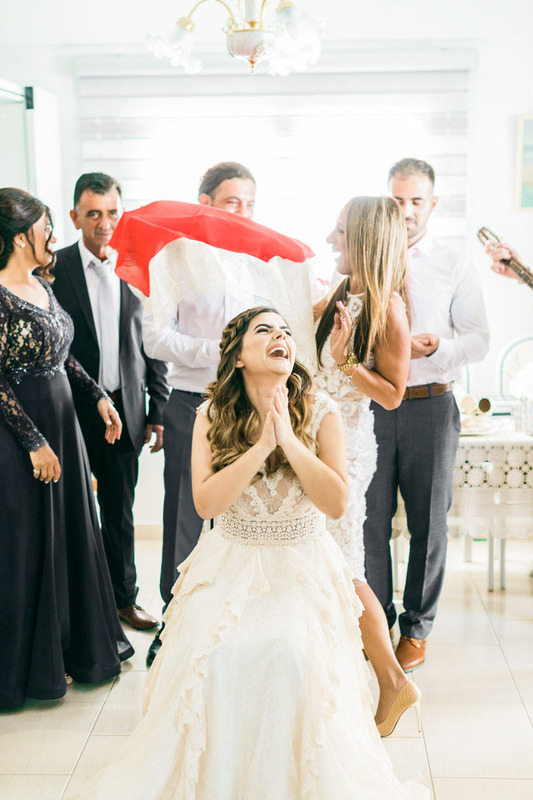 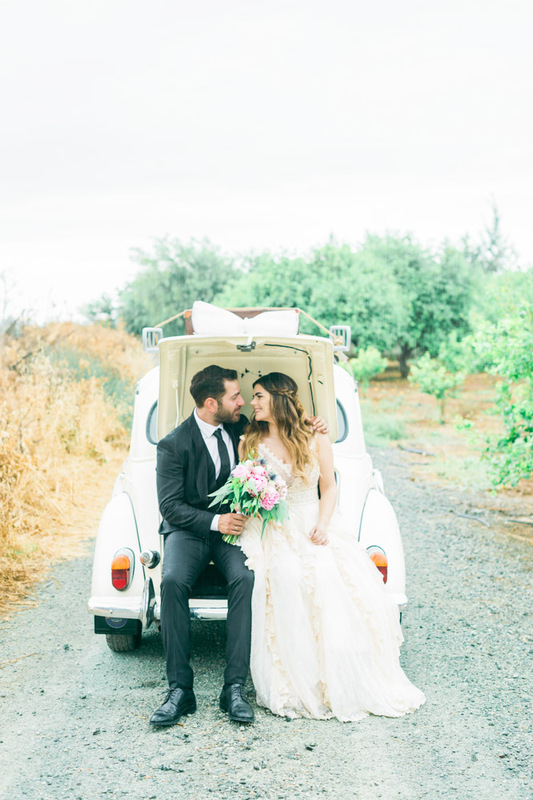 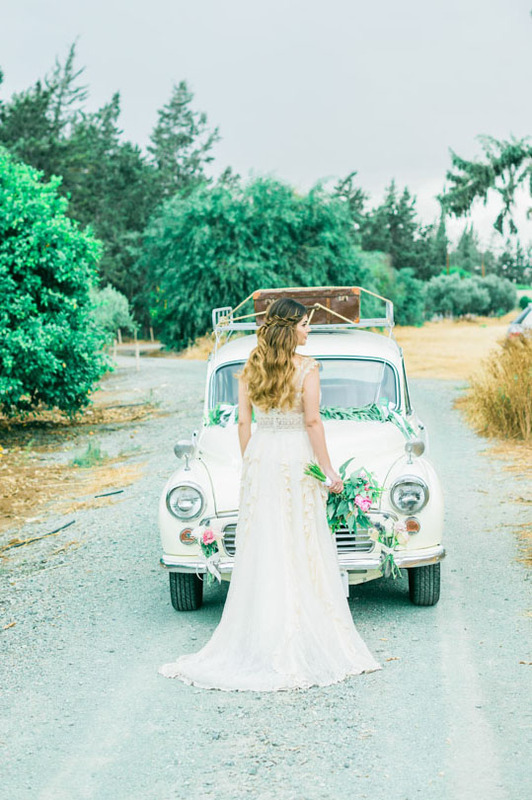 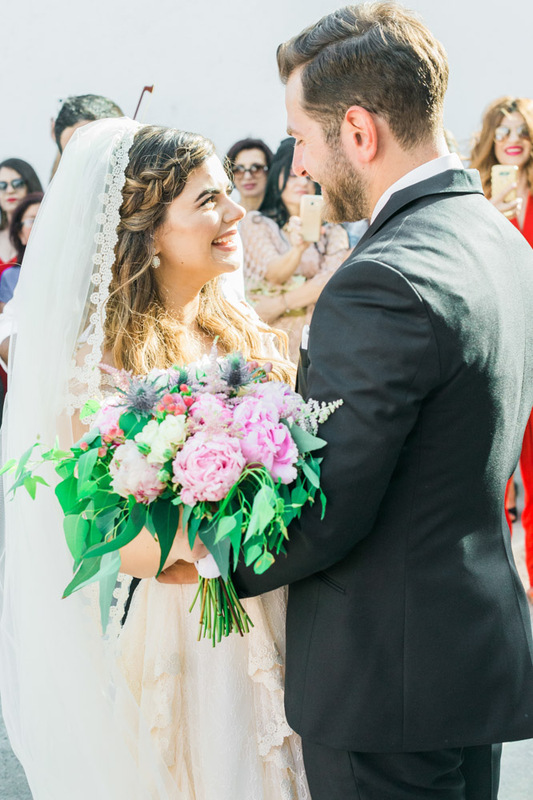 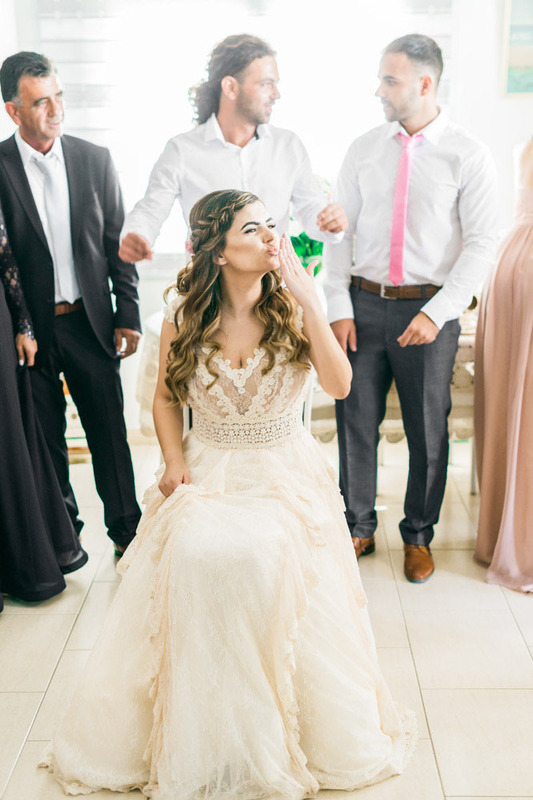 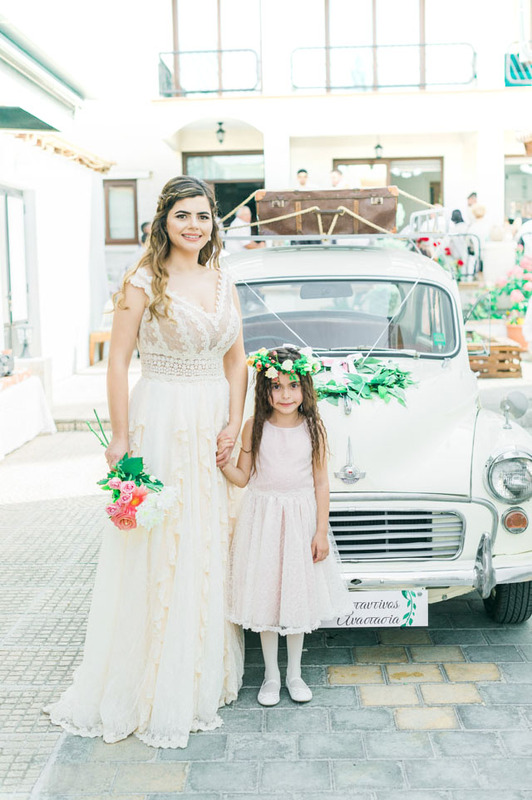 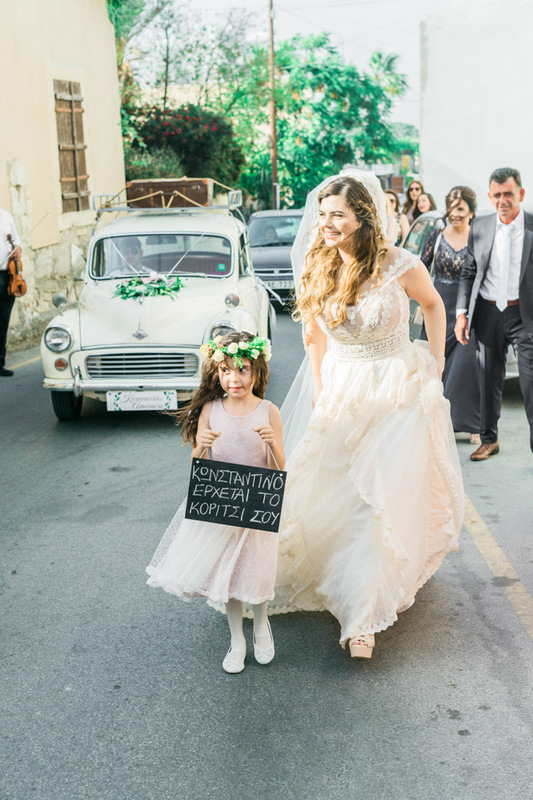 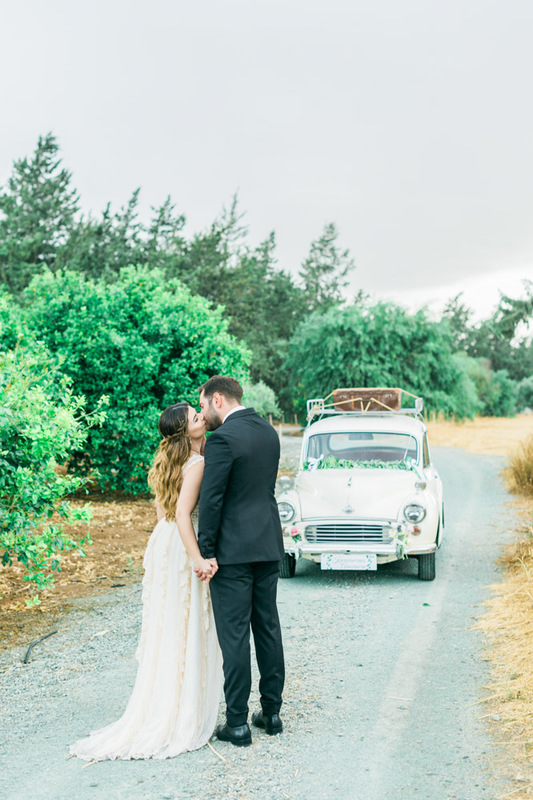 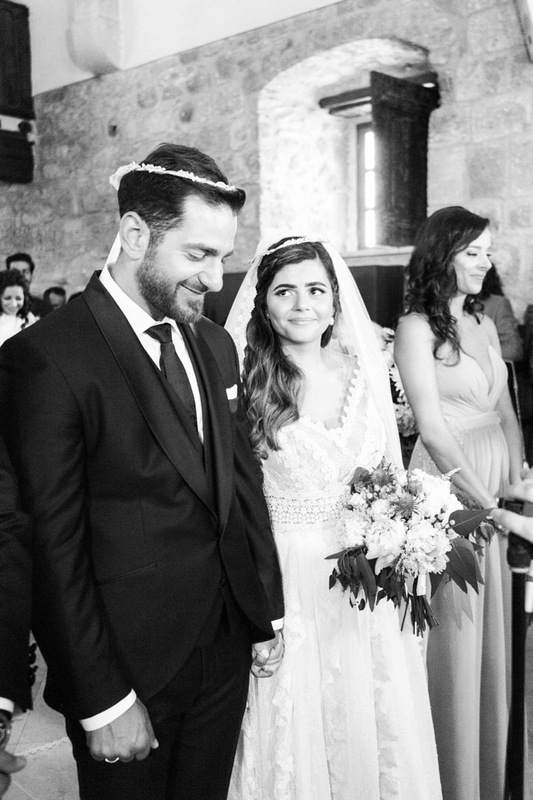 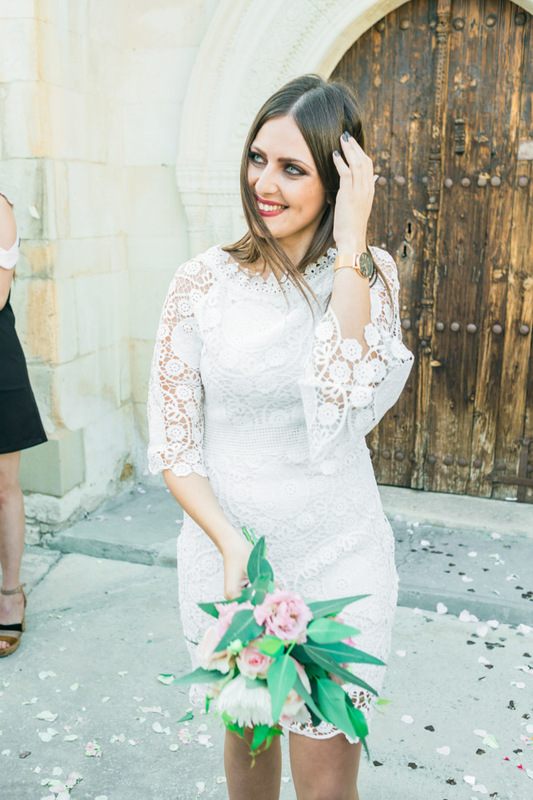 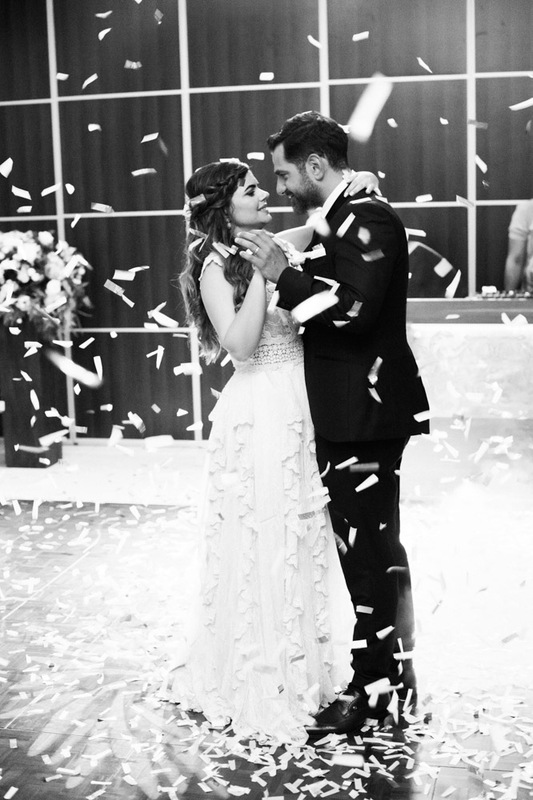 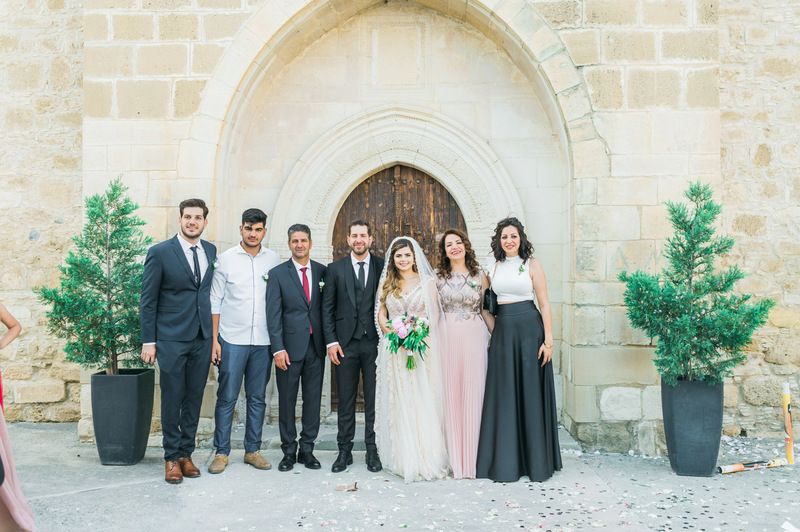 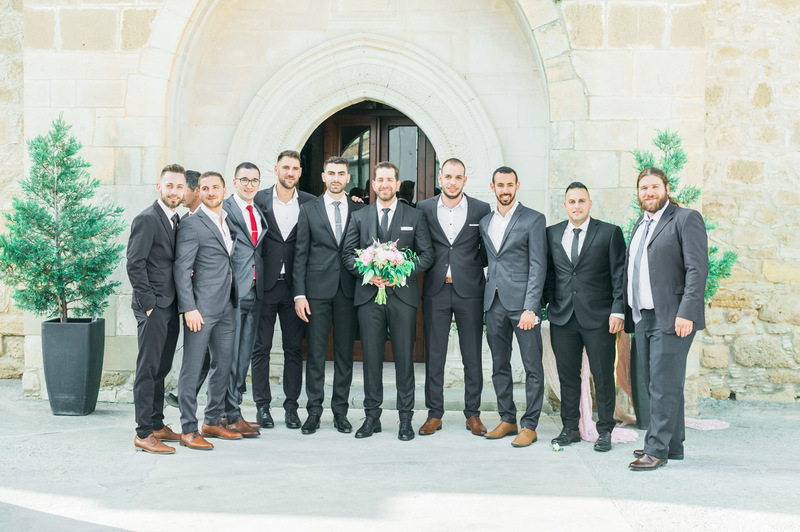 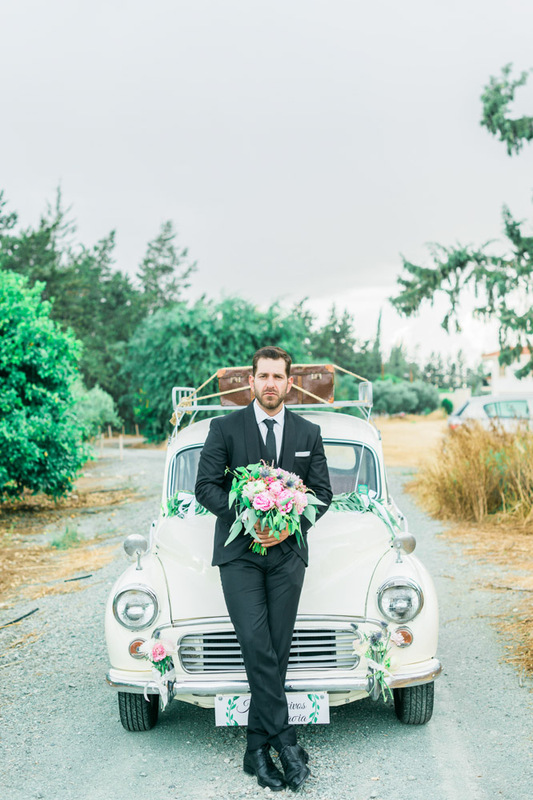 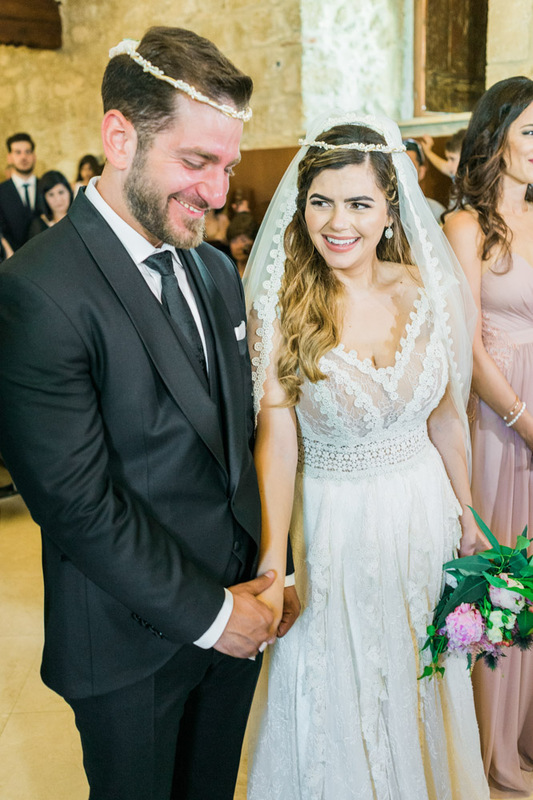 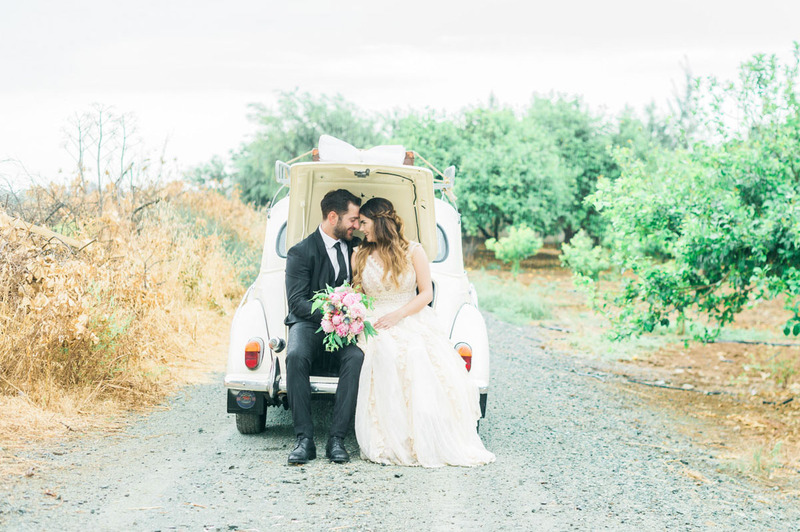 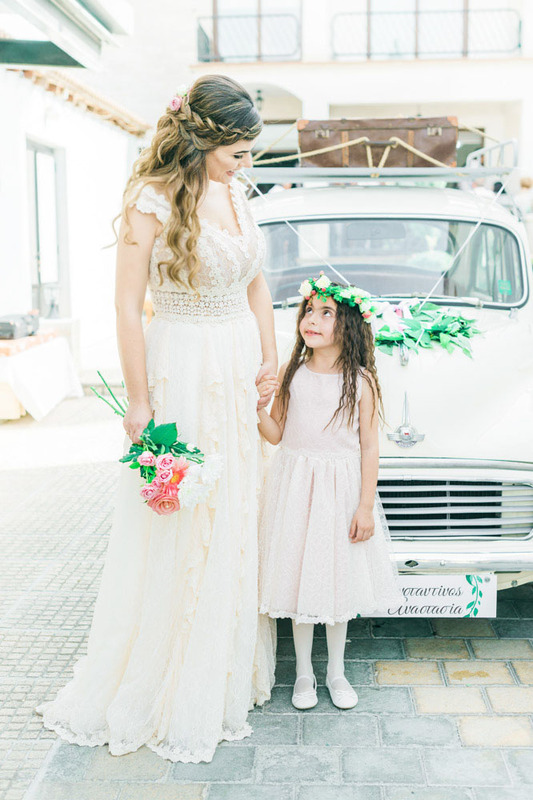 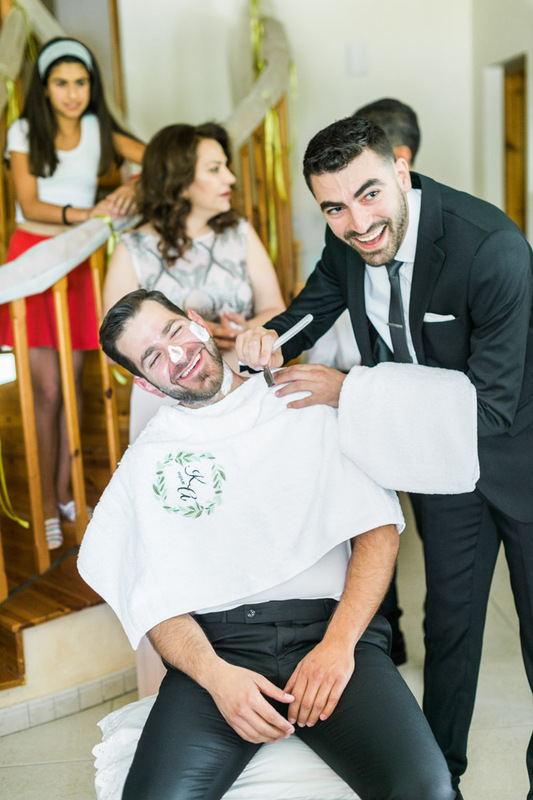 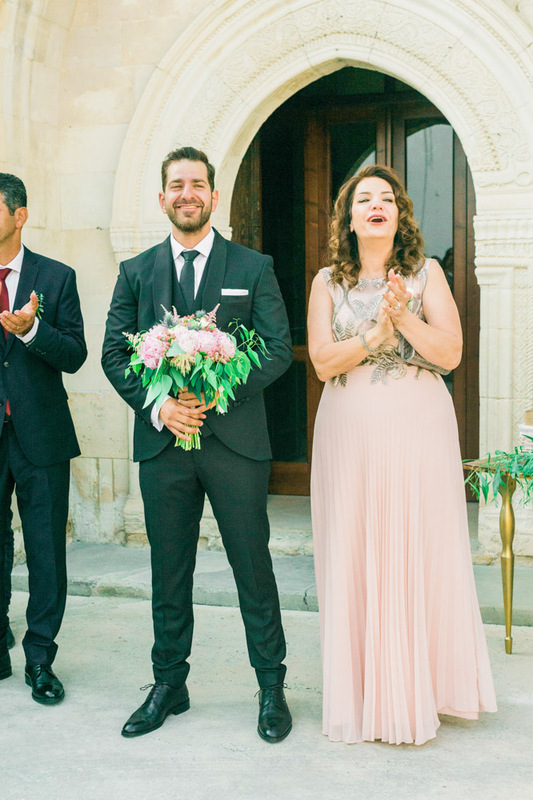 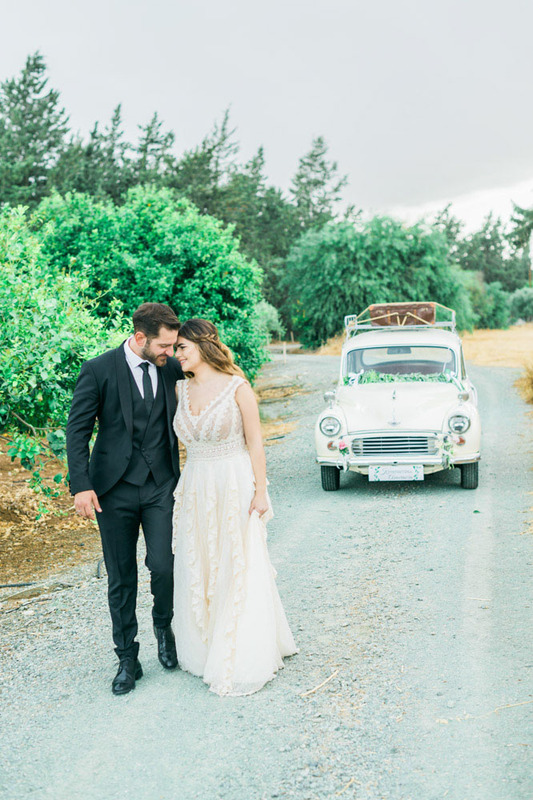 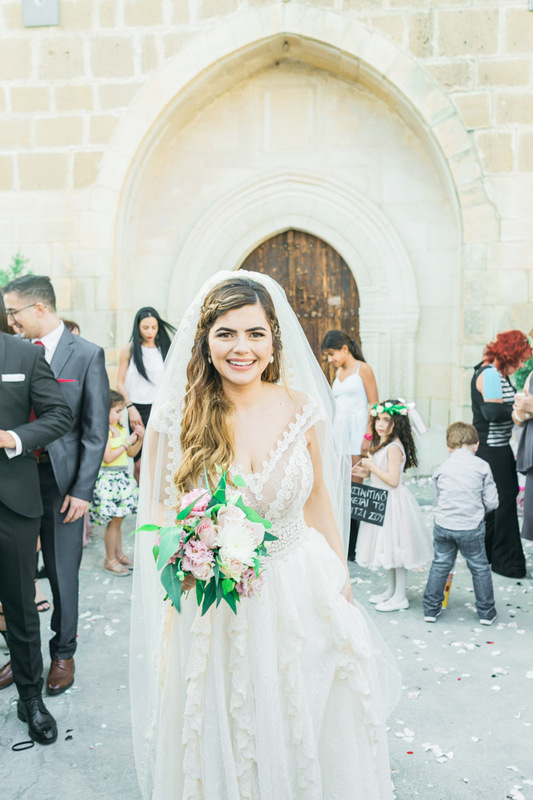 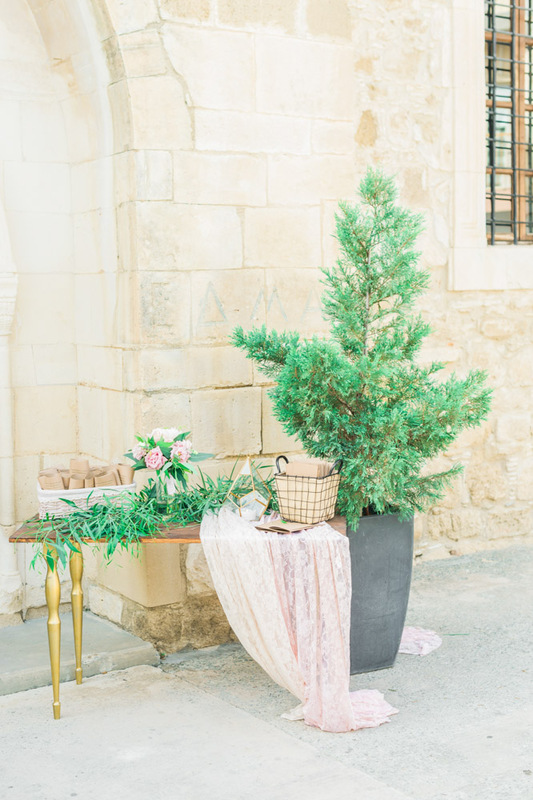 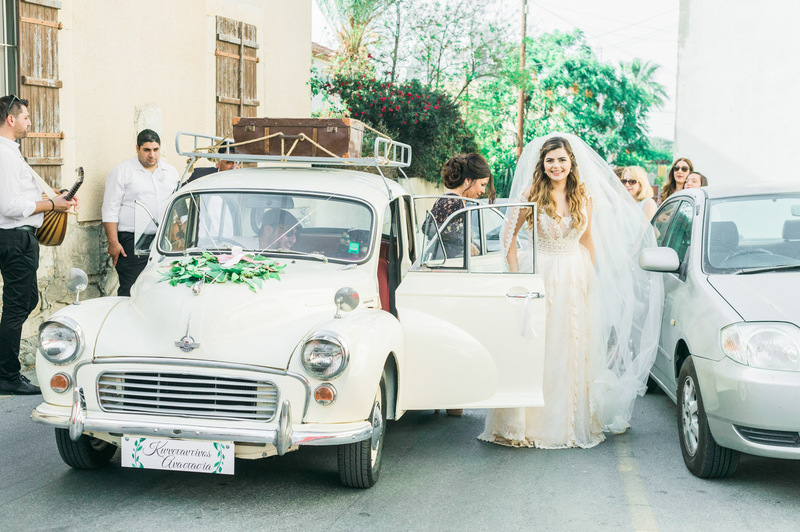 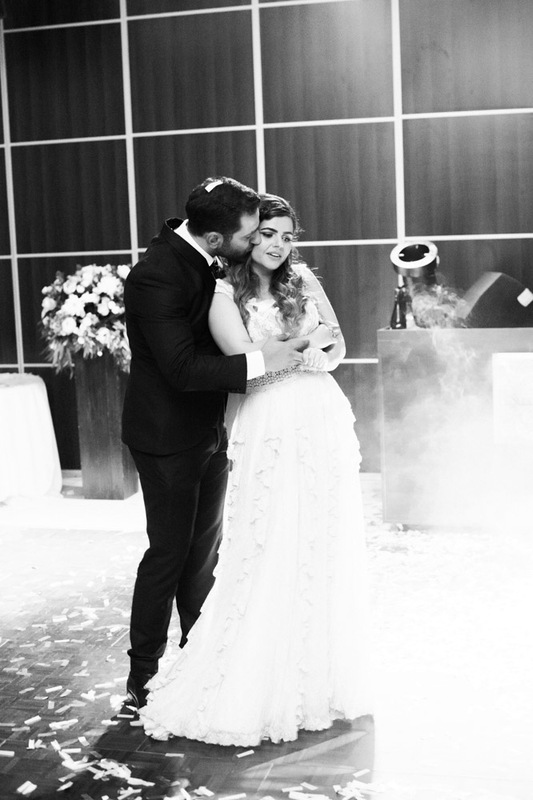 This couple met in high school in 2013 in Nicosia, it was love at first sight and since that moment on they’ve been inseparable. 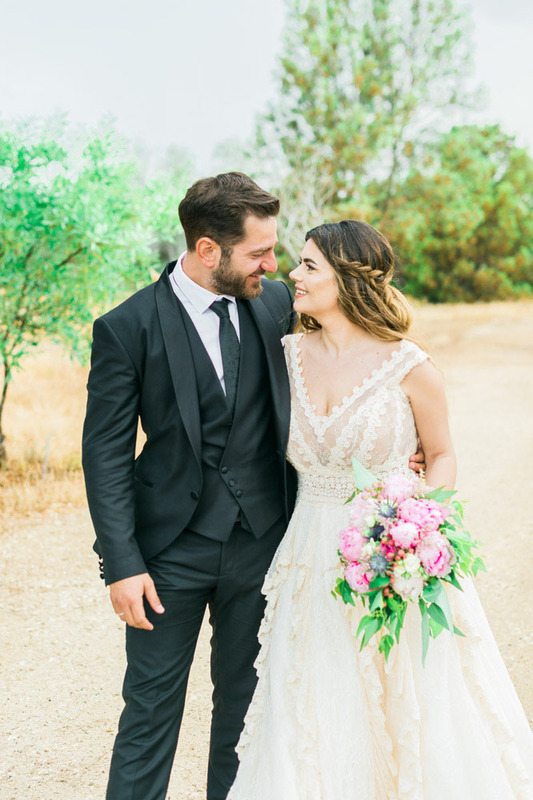 Anastasia’s beauty shines from within her and it’s no surprise when Constantinos says she makes him a better person and his only wish is to create more memories with the woman he loves. 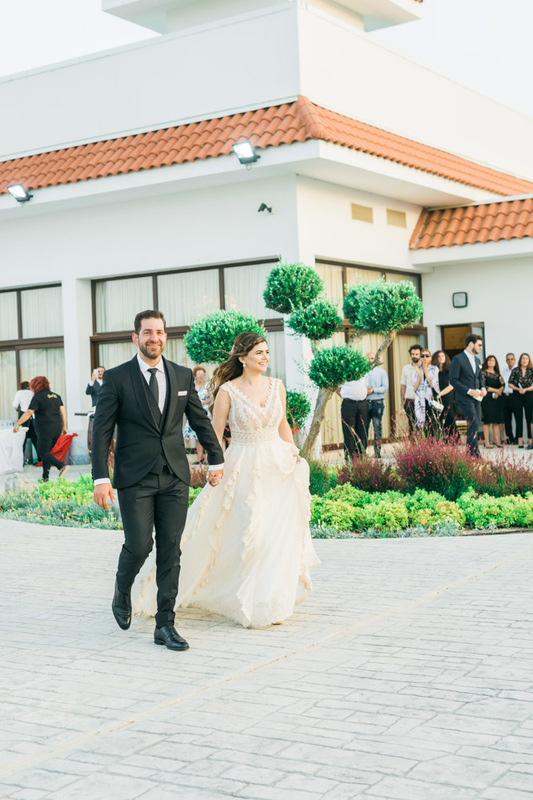 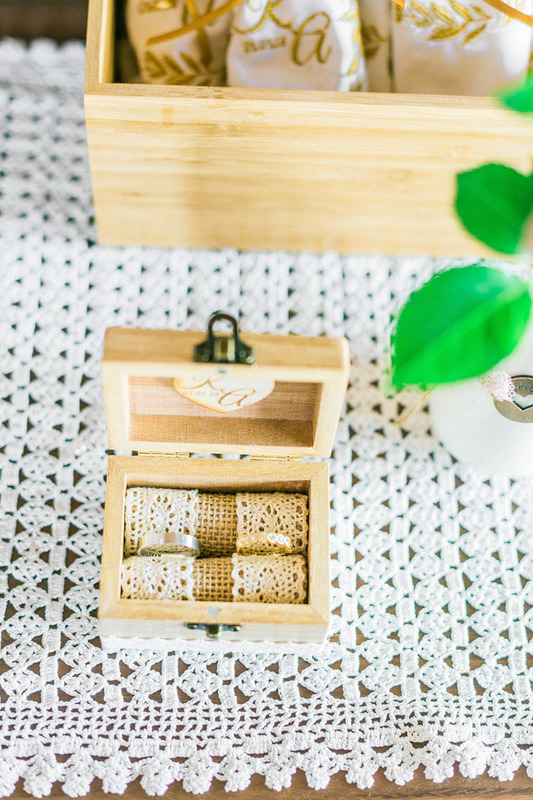 They complement each other perfectly and for me as the wedding photographer, it was a gift to have such a carefree and giving couple to work with. 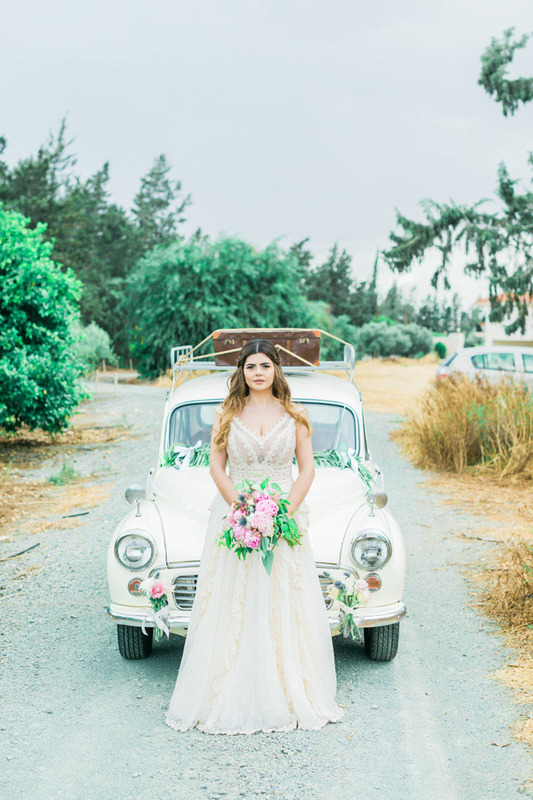 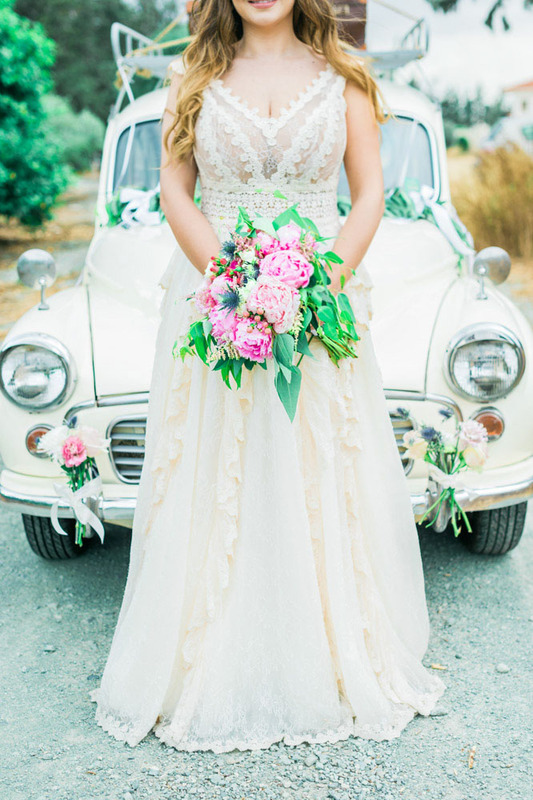 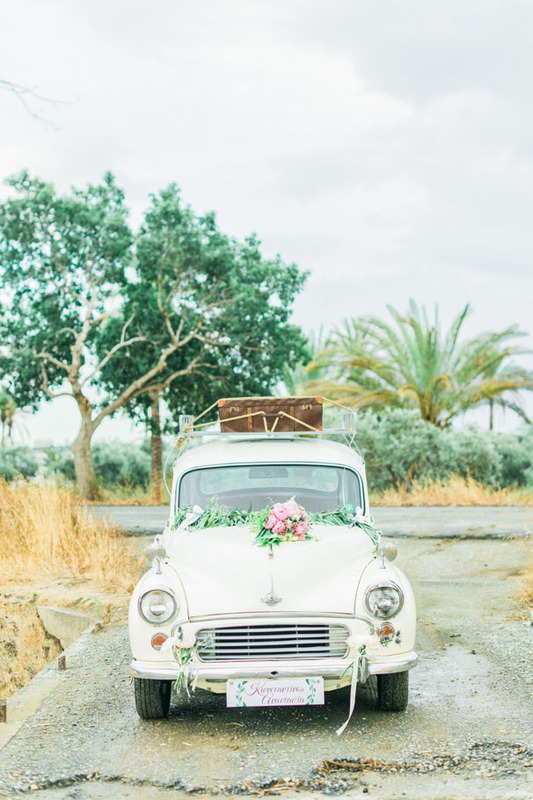 As a driving instructor it’s fitting that Constantinos decided to make the wedding car such an important character in this wedding, hired from Memorable Vintage Wedding Cars, this classic car brought a touch of history into a modern and sophisticated wedding and when Anastasia emerged from the car in her intricate wedding gown form Complice – Stalo Theodorou the sight was breath taking. 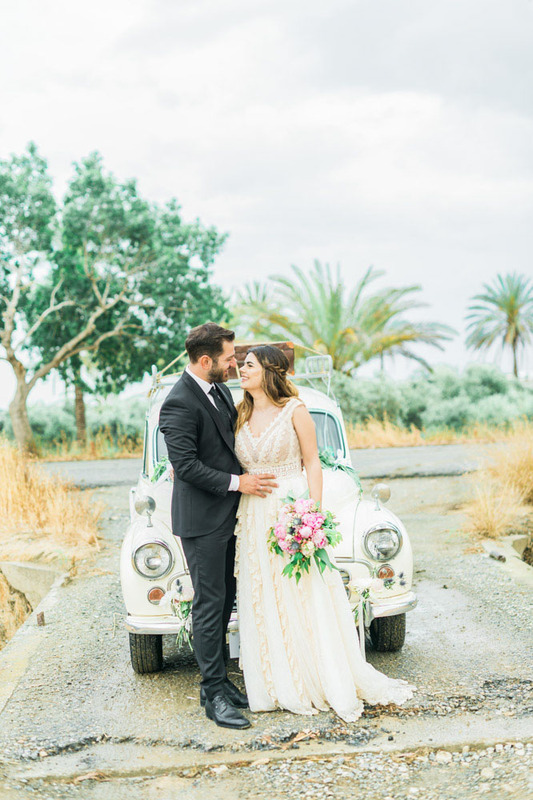 And although we joked that Constantinos is the driver of Anastasia’ life, it’s plain to see when you witness this couple together, they both take the wheel! 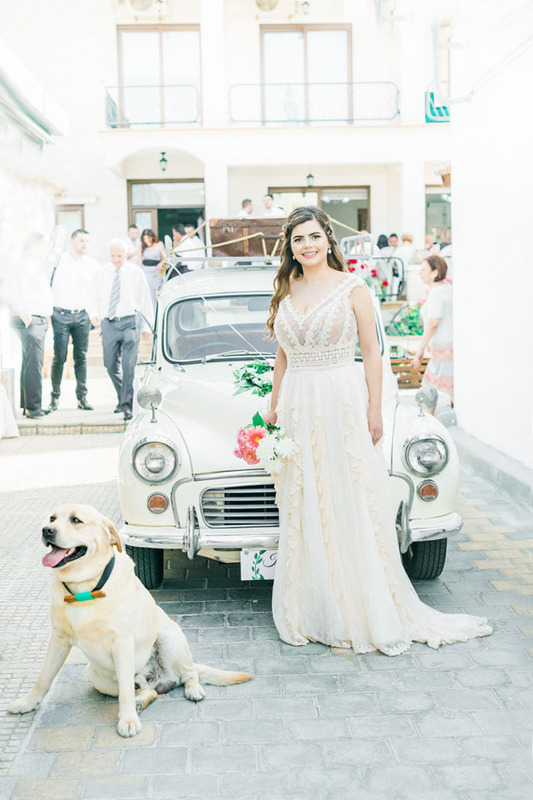 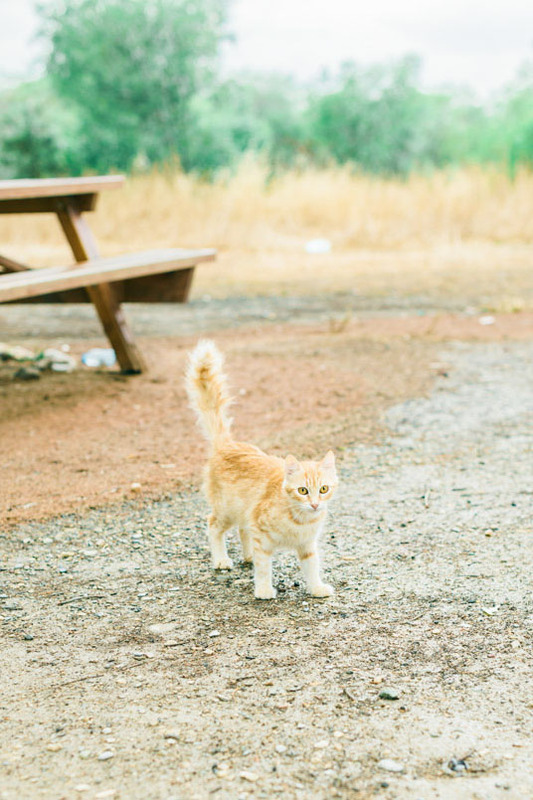 The cute inclusion of the little bridesmaids and the dog with a bow tie brought a smile to everyone’s face and confirmed this as wedding full of simple happiness, tradition, and close bonds. 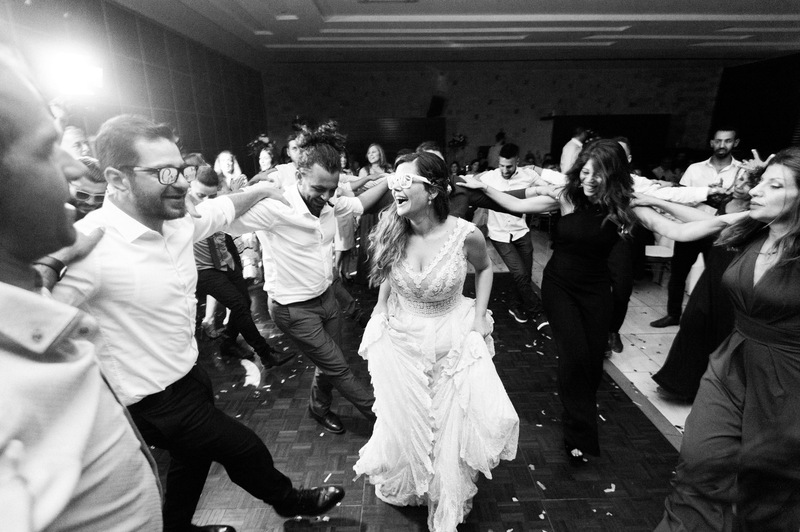 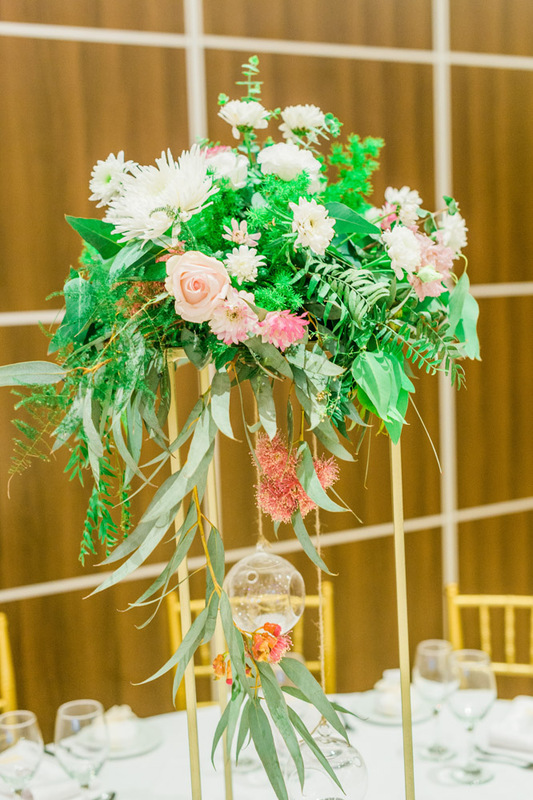 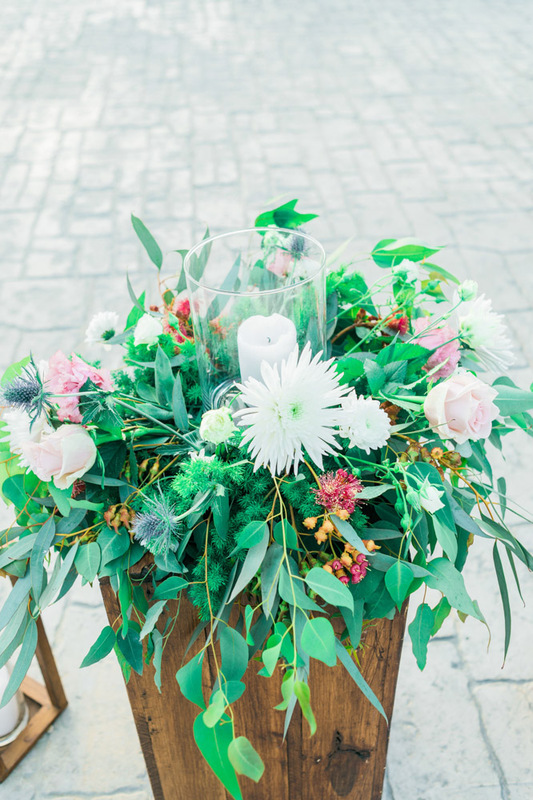 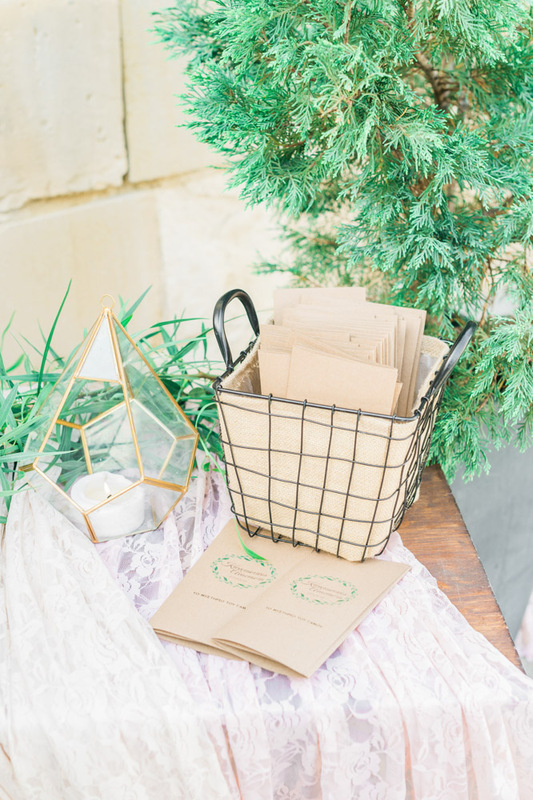 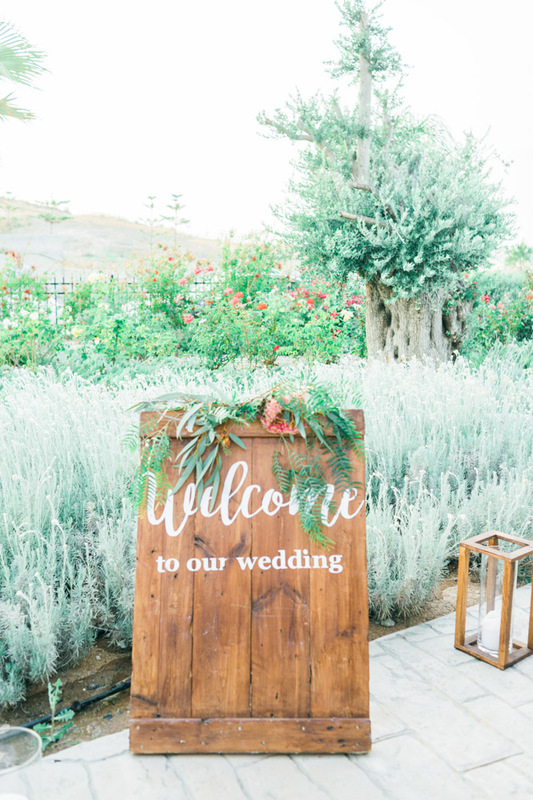 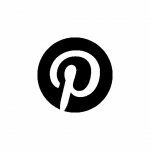 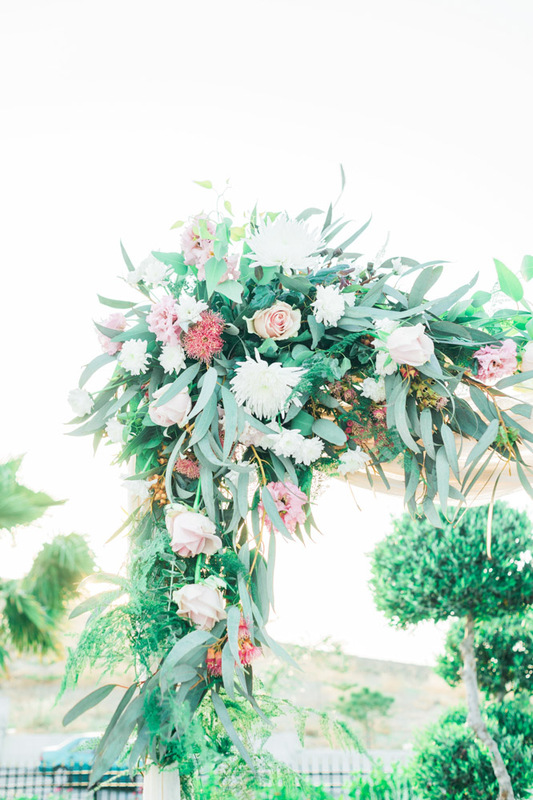 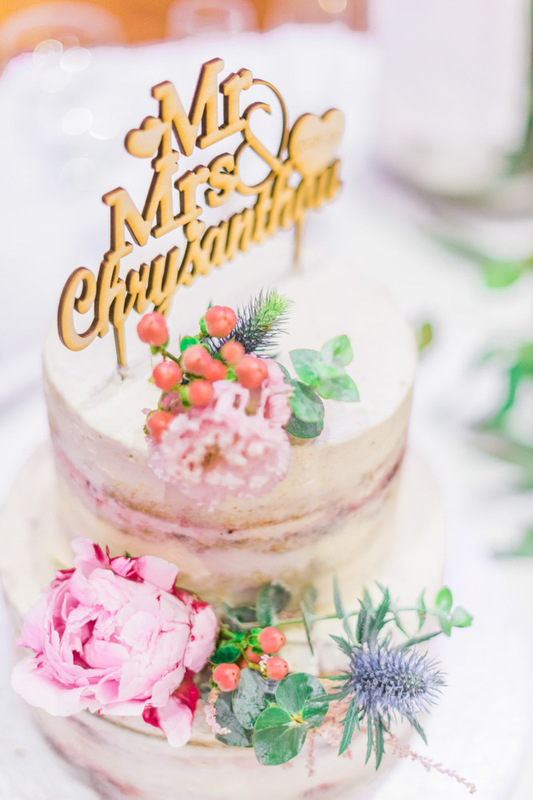 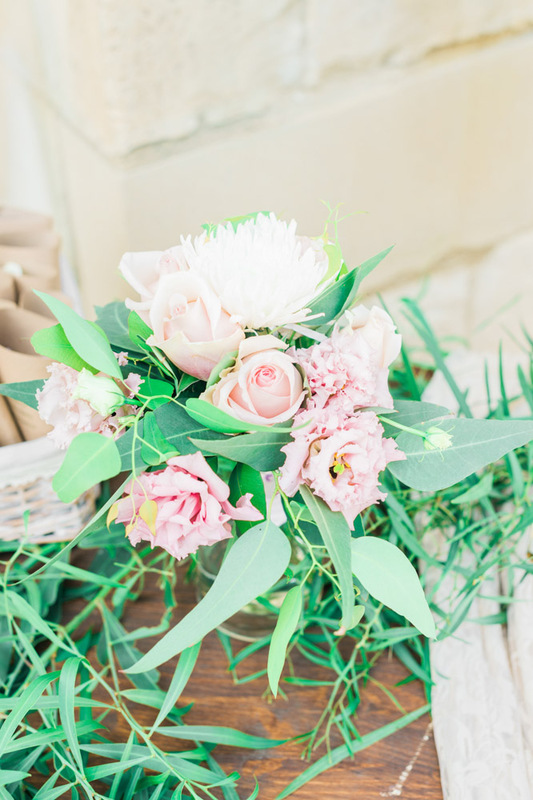 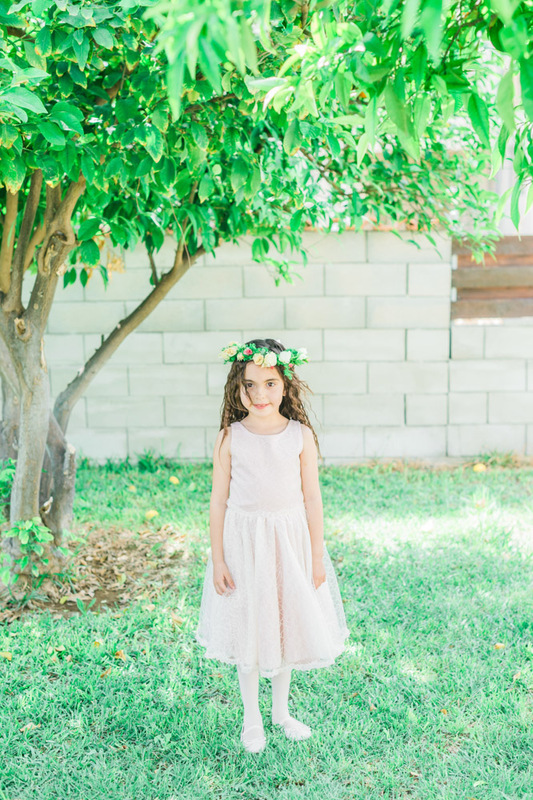 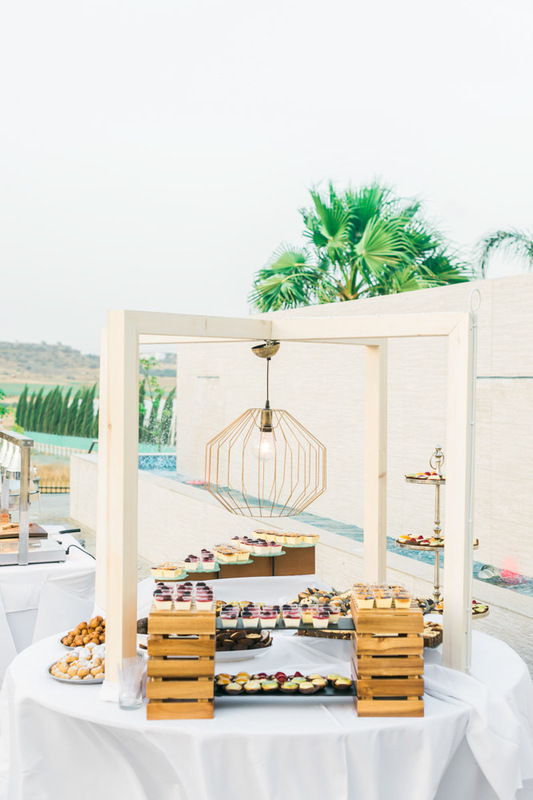 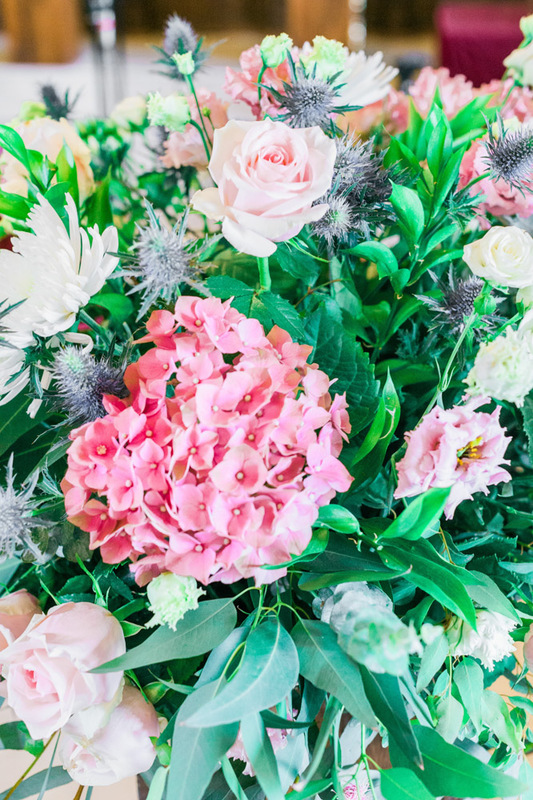 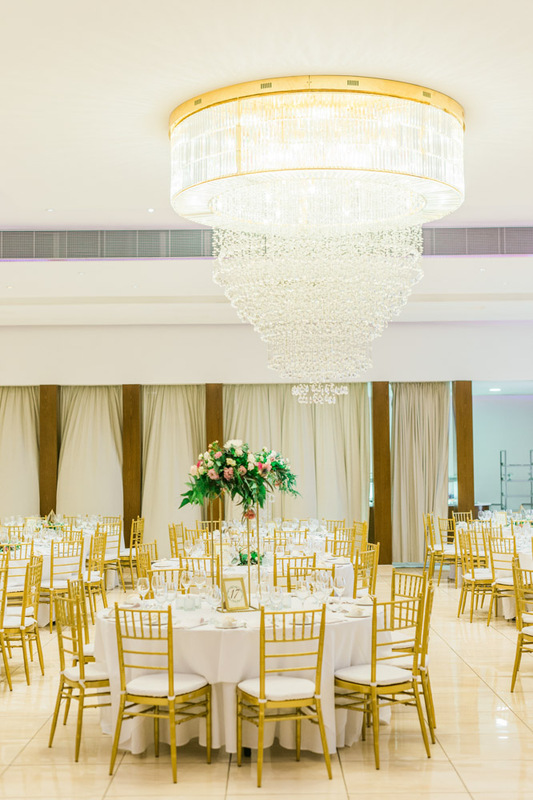 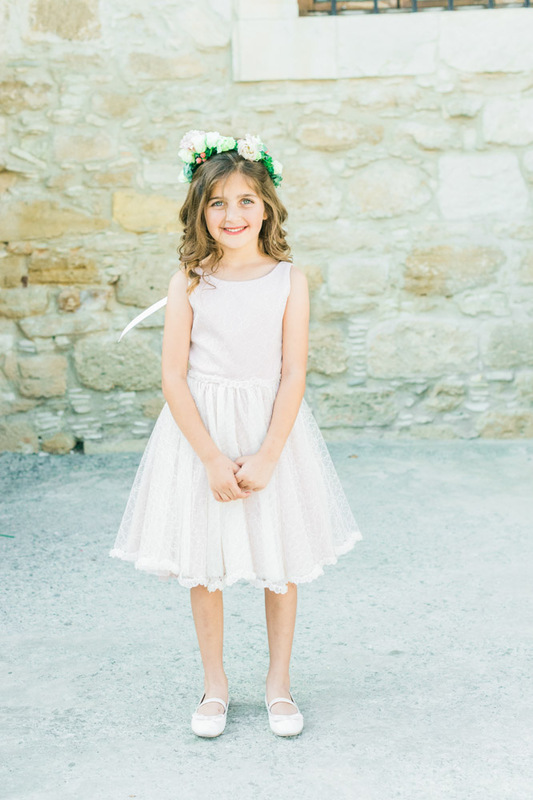 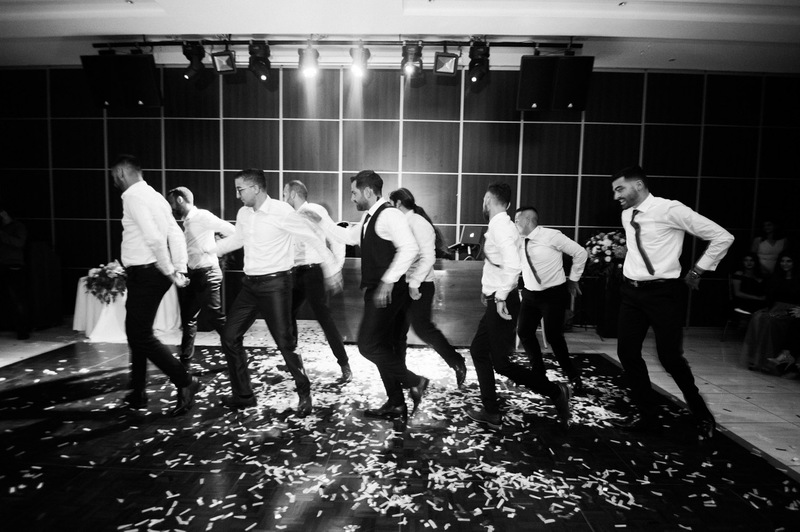 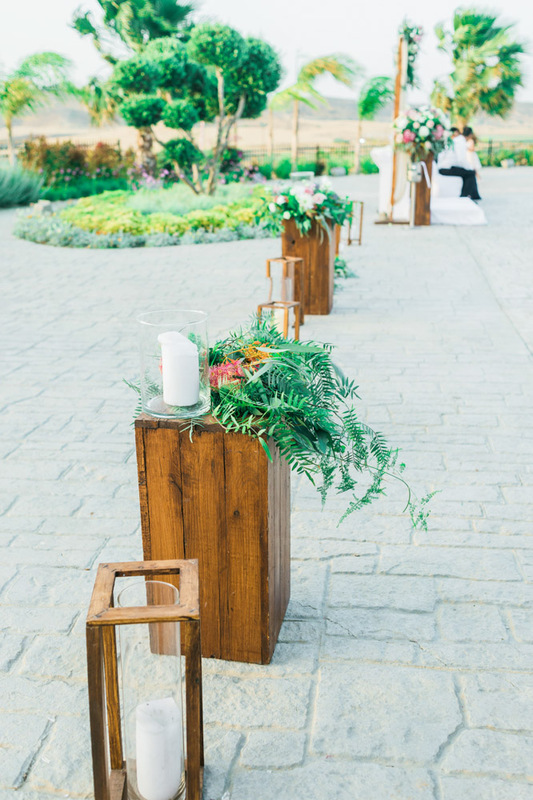 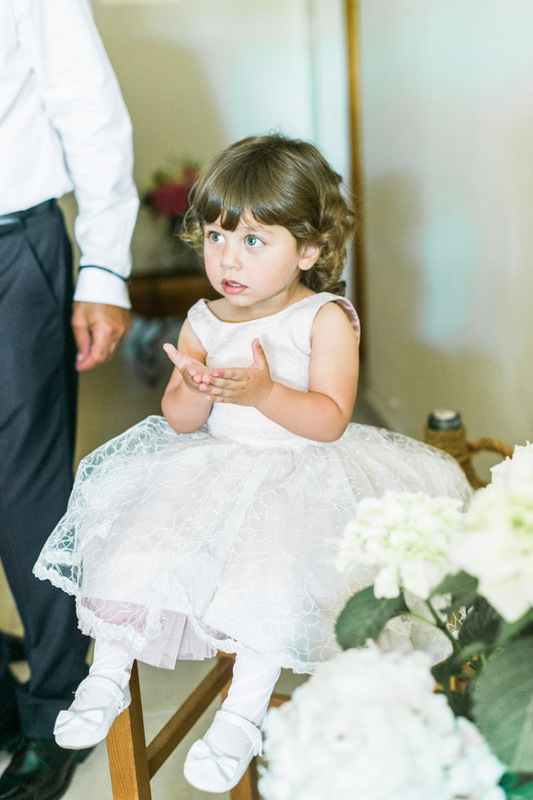 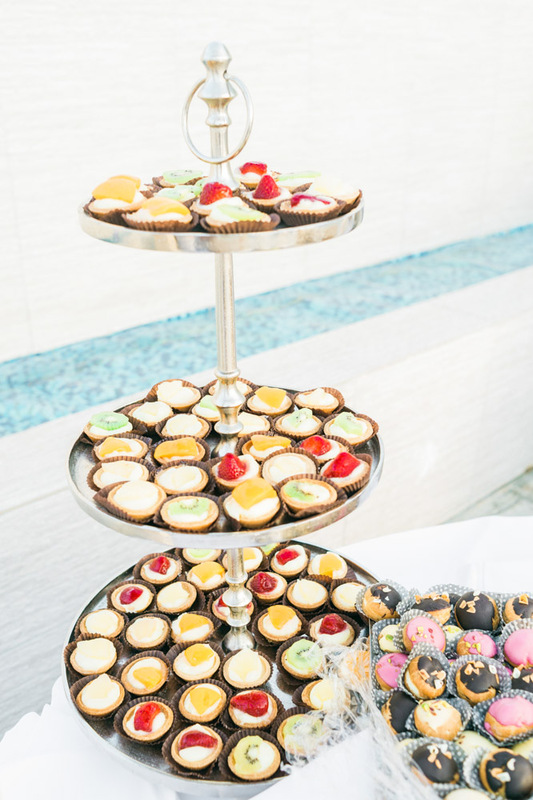 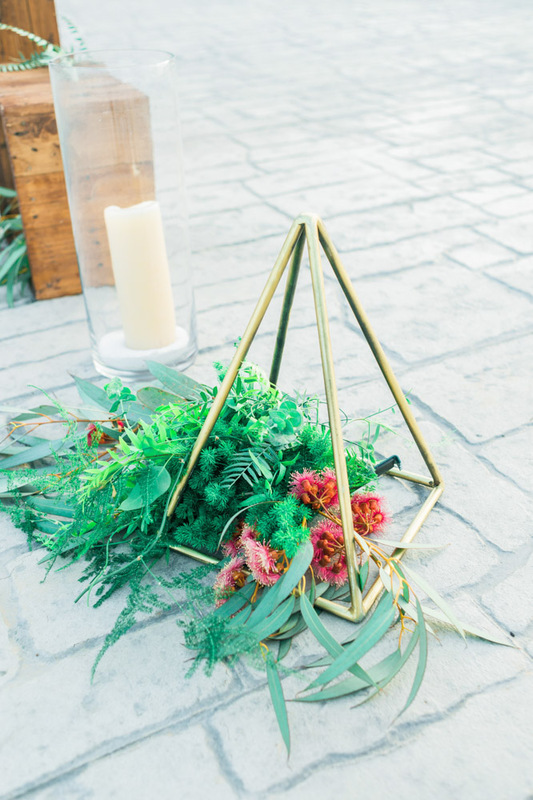 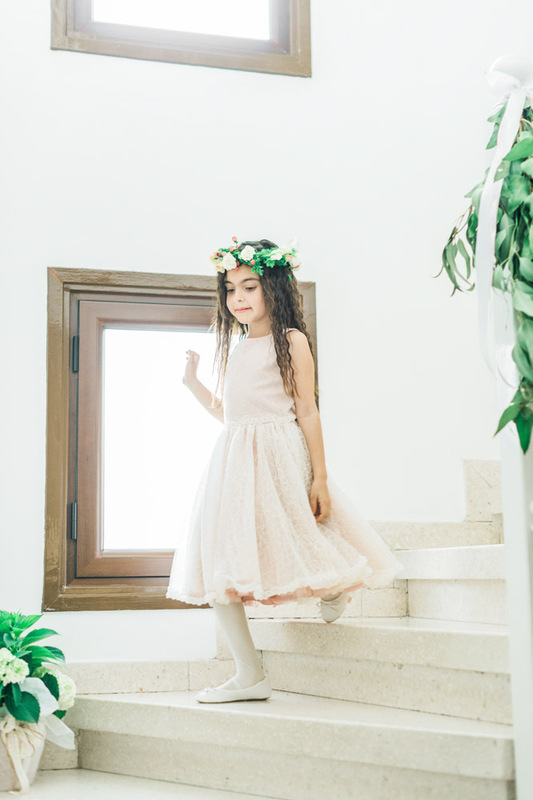 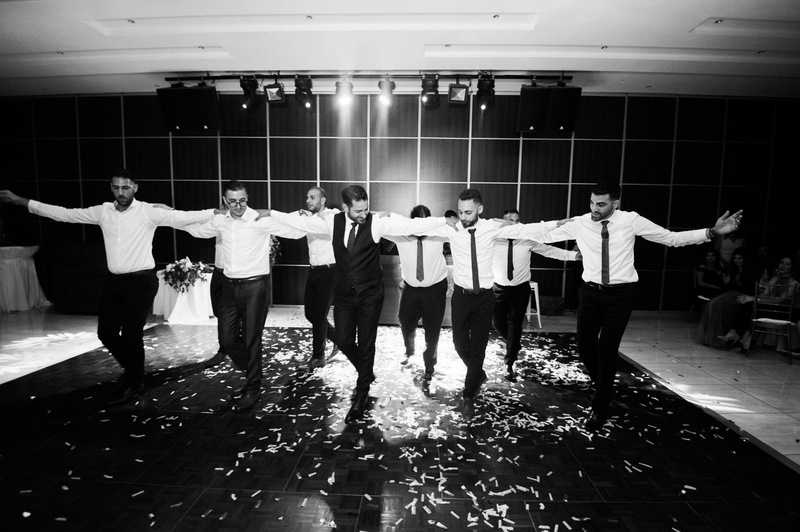 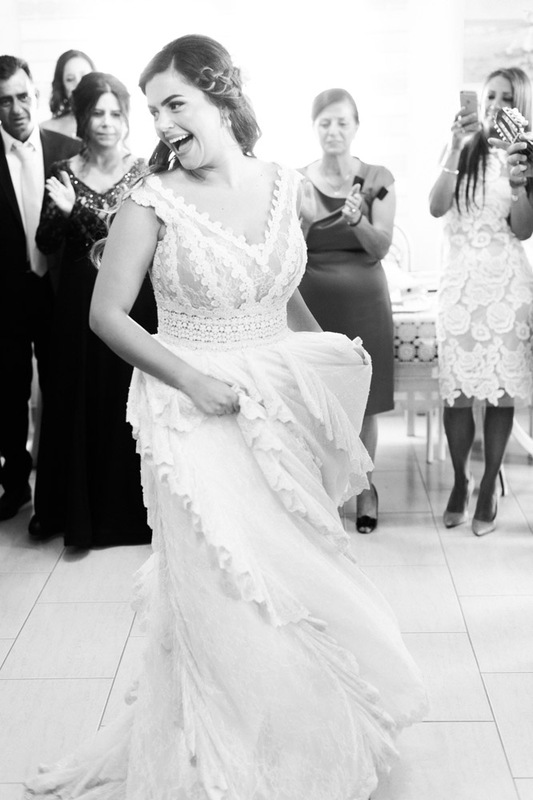 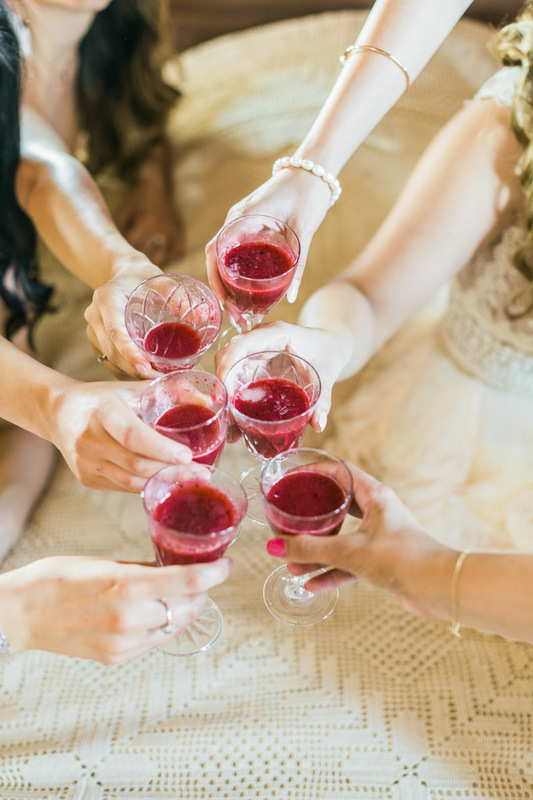 This was a relaxed family wedding that turned into a lot of fun when everyone let loose in the evening and celebrated in style. 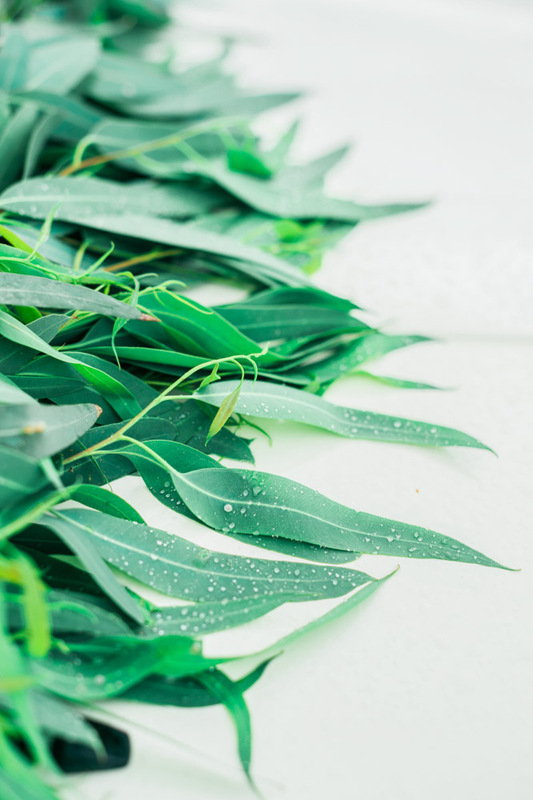 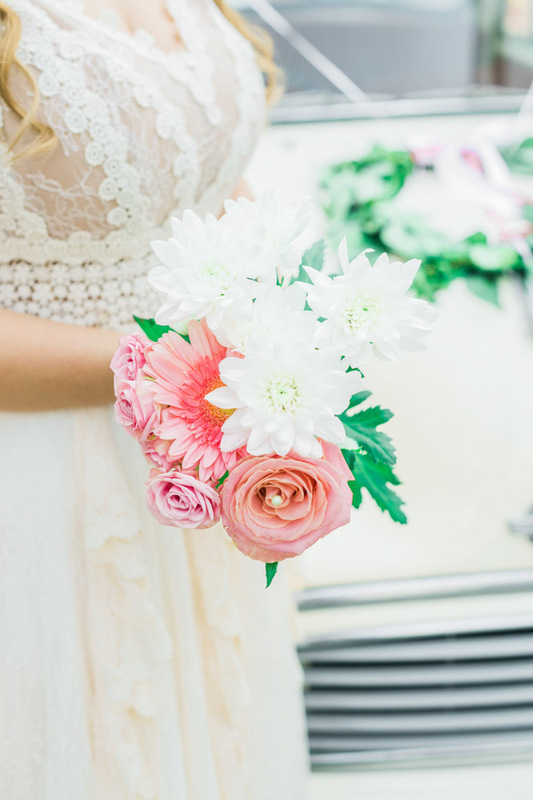 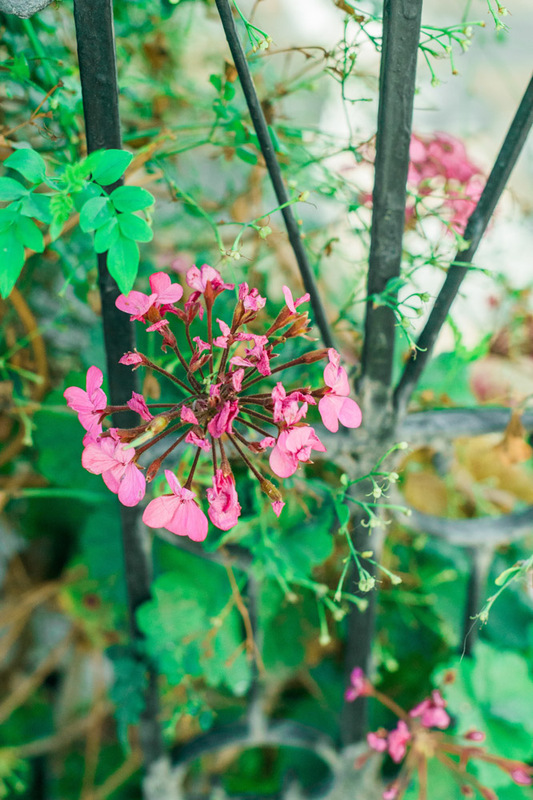 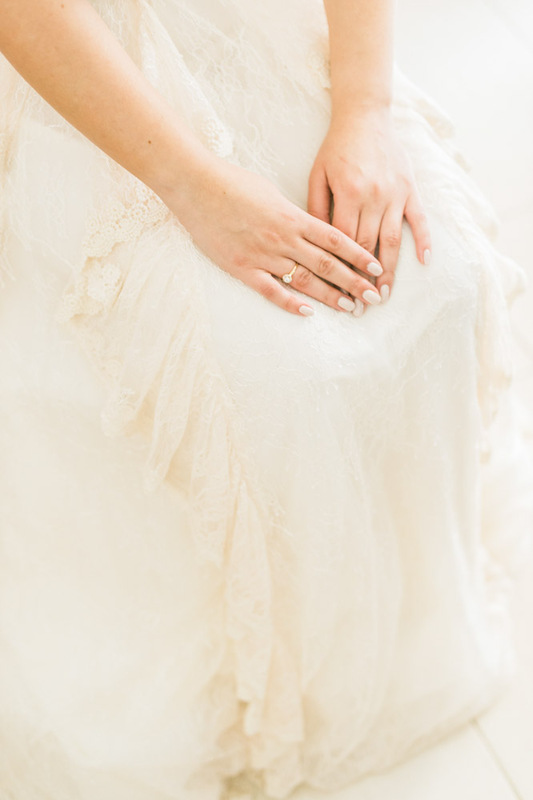 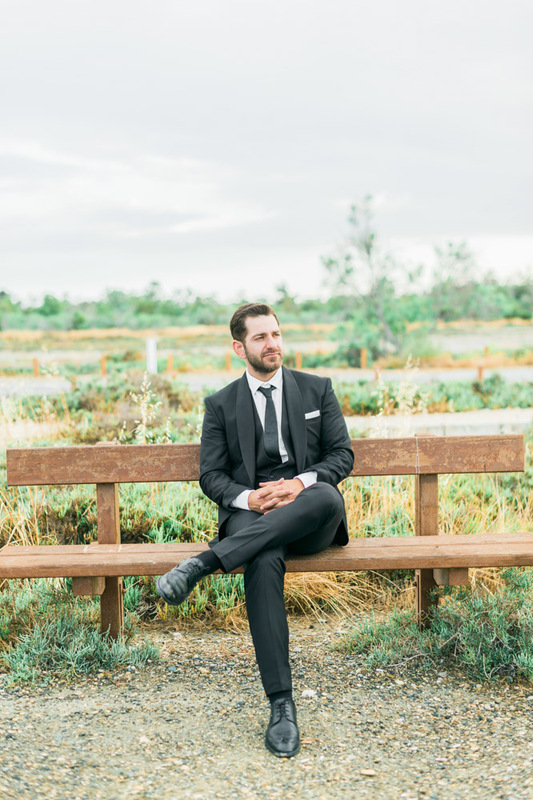 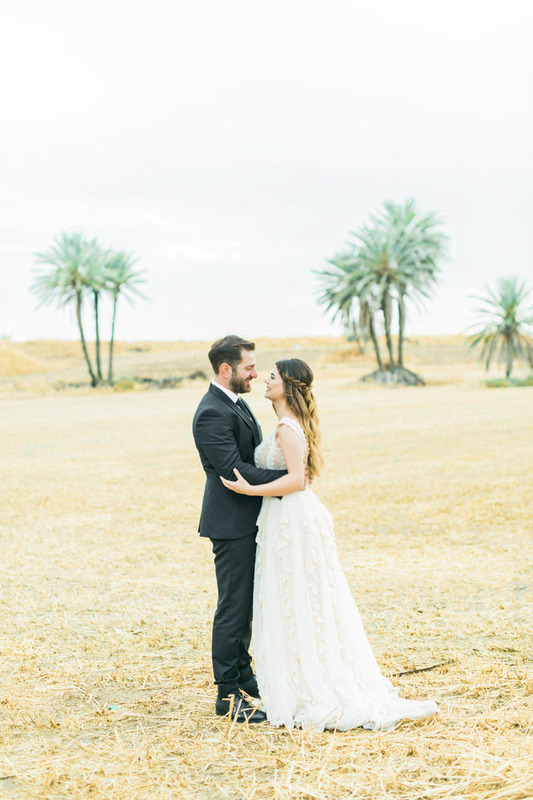 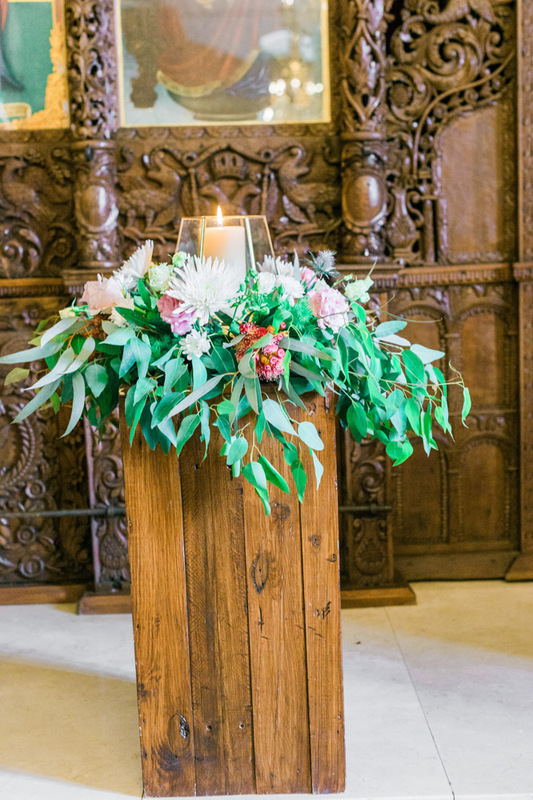 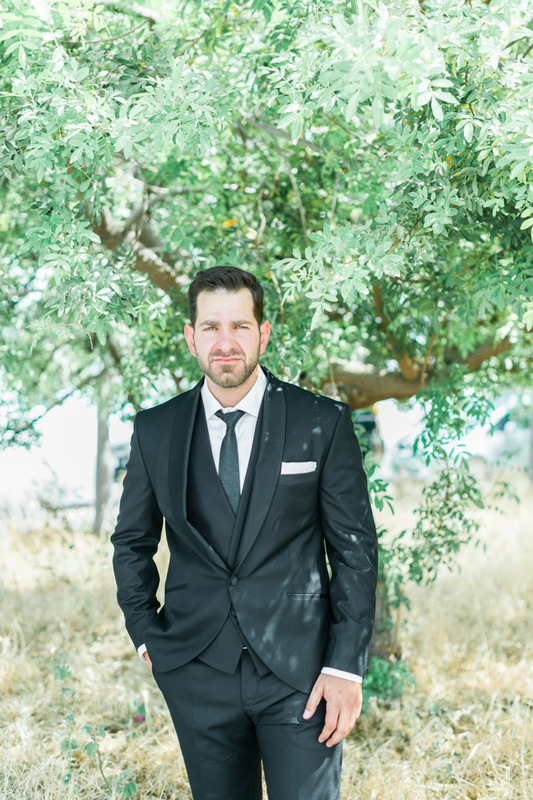 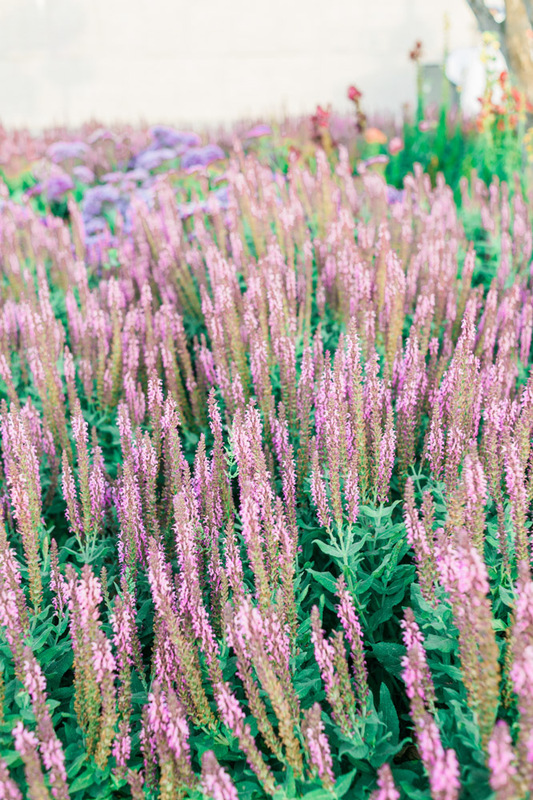 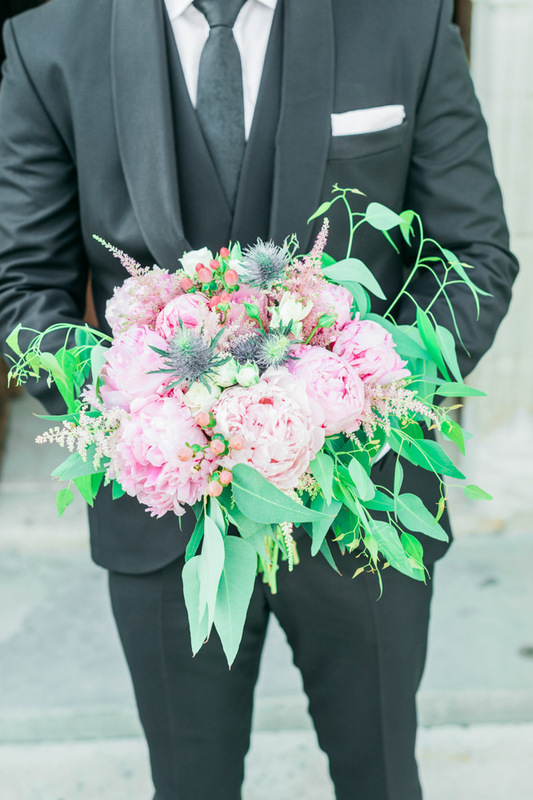 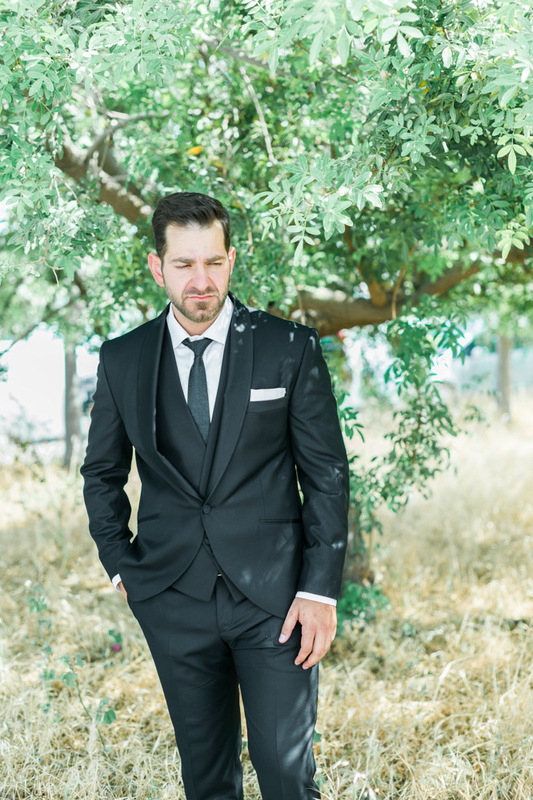 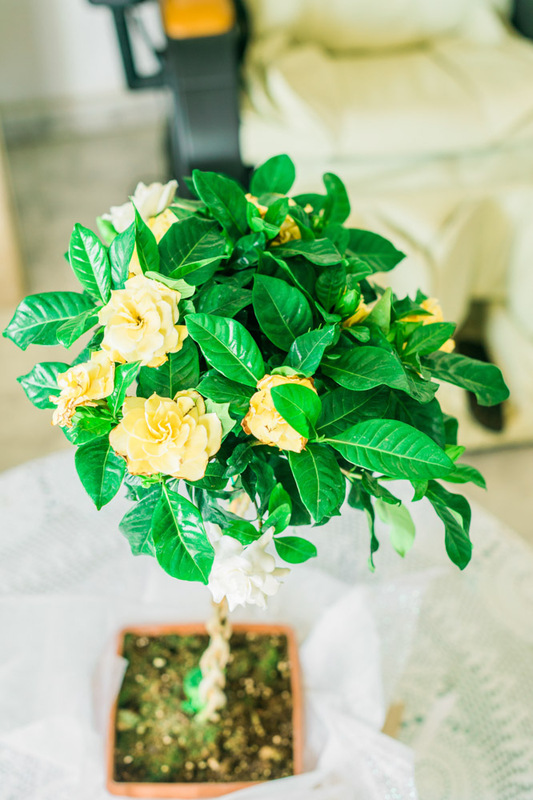 With such a relaxed atmosphere and a couple so in love, it was a pleasure to be a part of this wedding.